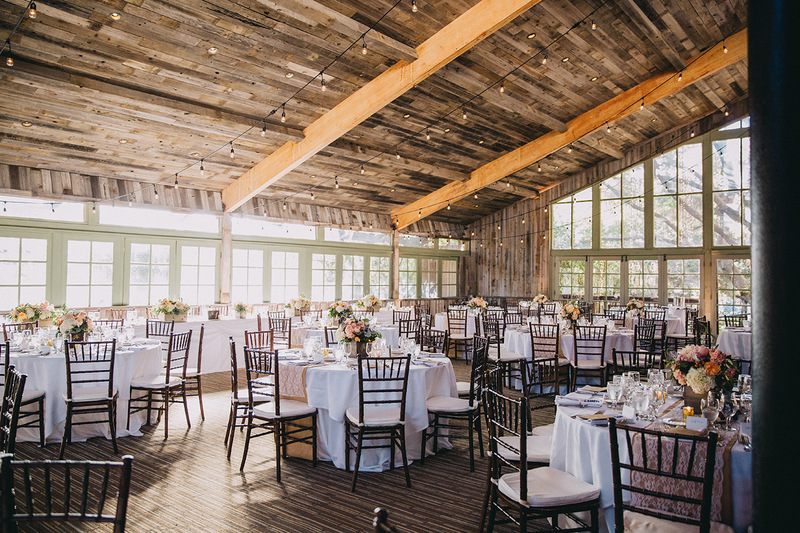 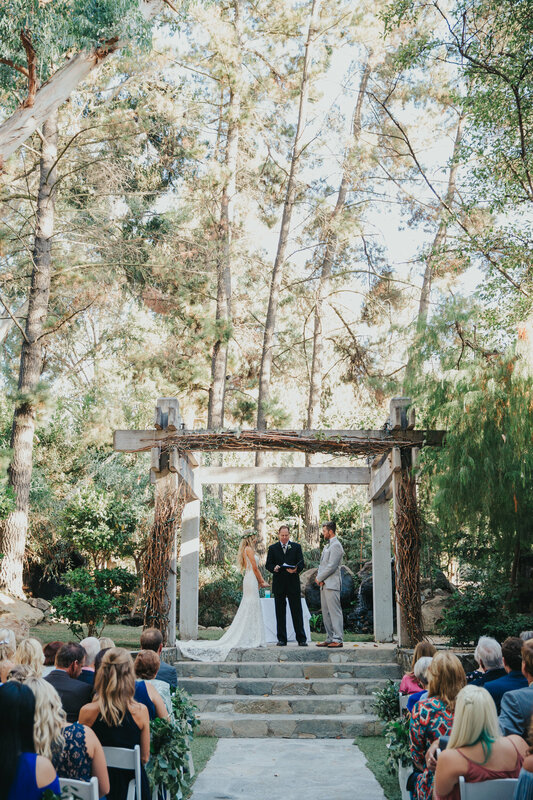 A Calamigos Ranch wedding is the ideal choice for an ethereal event. 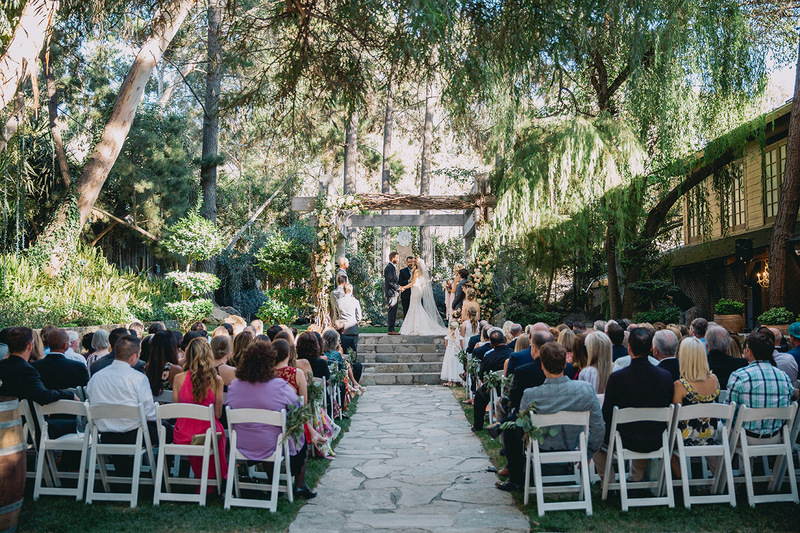 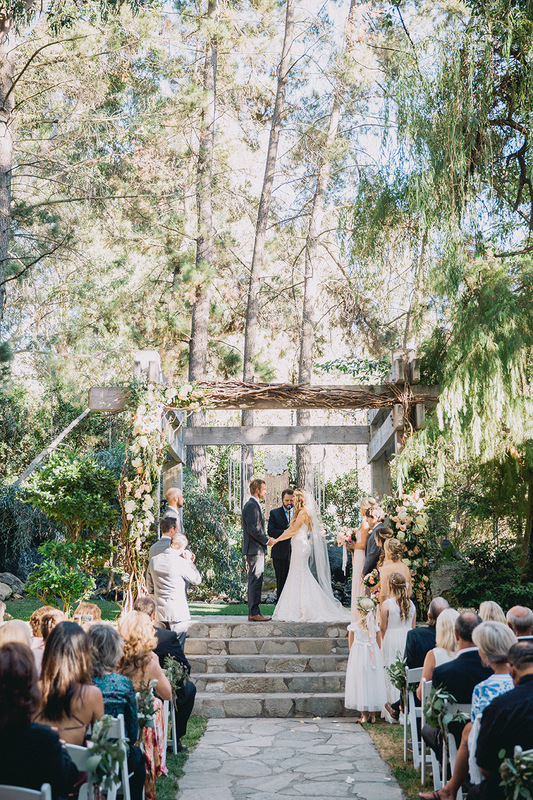 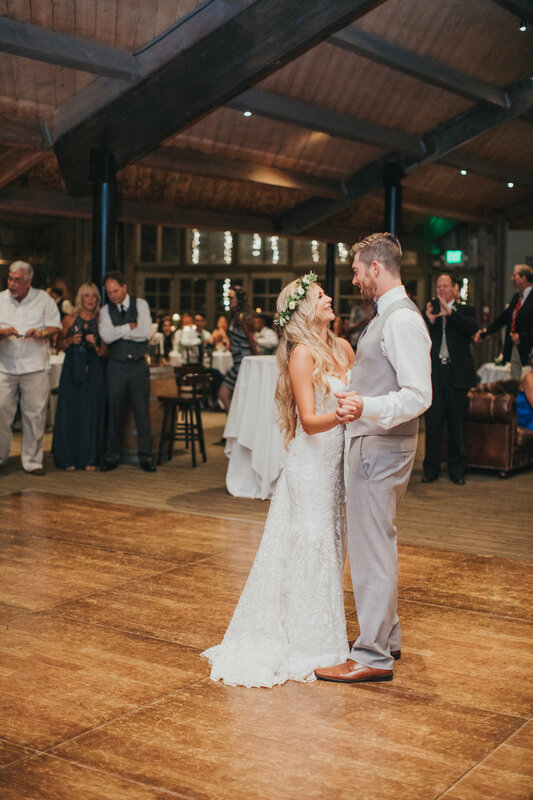 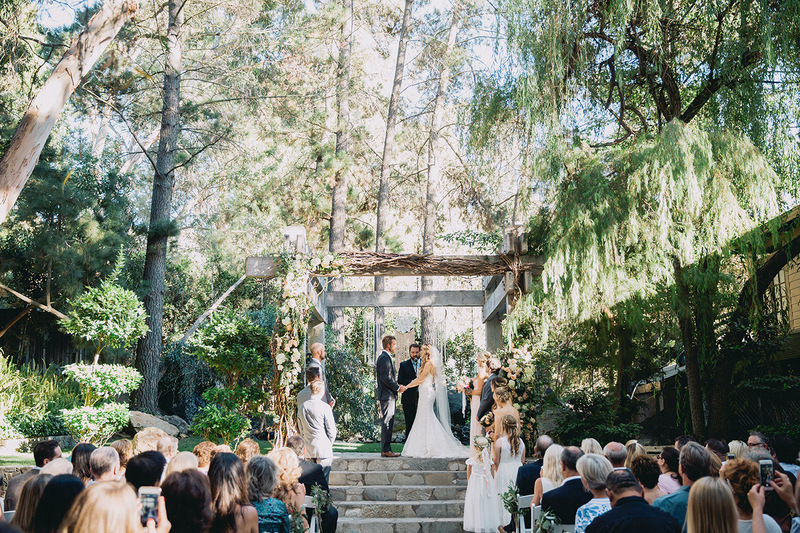 Set in Malibu, the venue offers many locations to marry in. 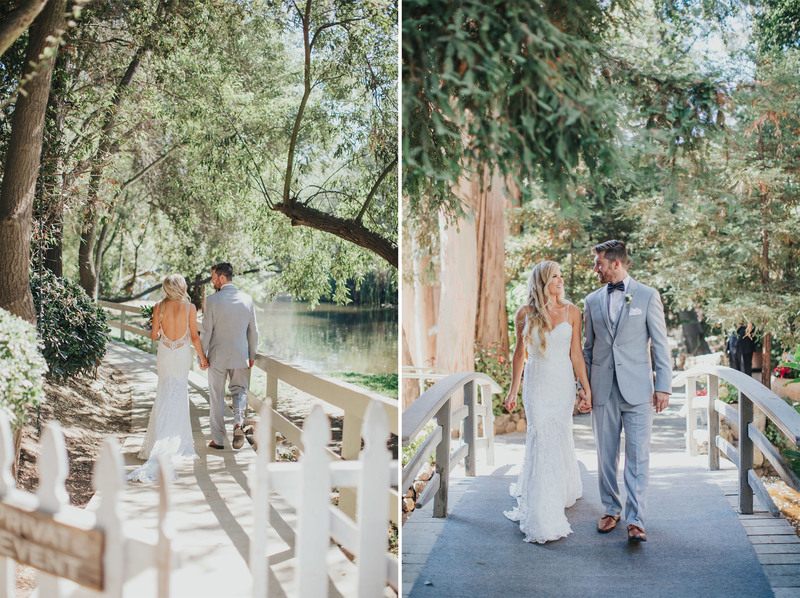 But here, Amie and Brad choose The Redwood Room. 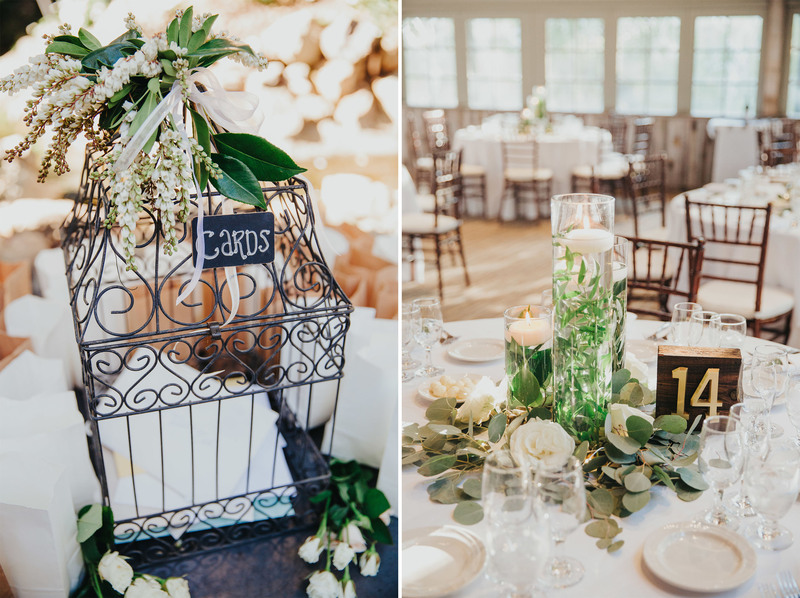 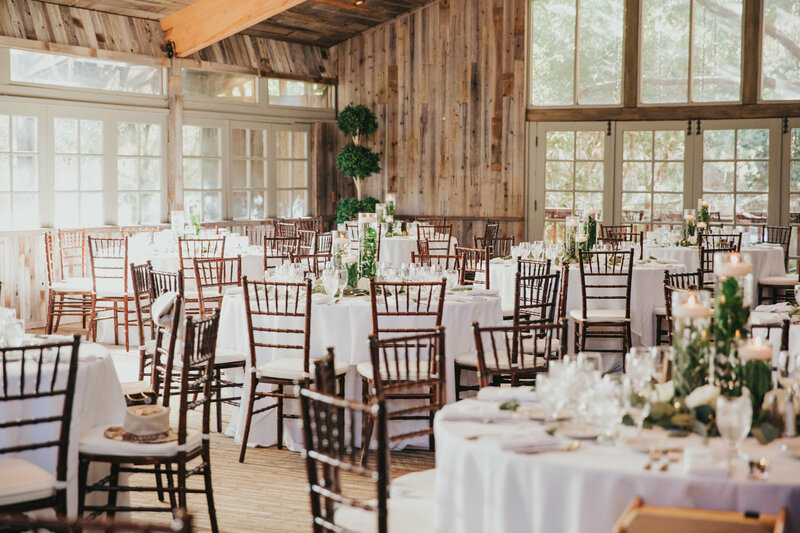 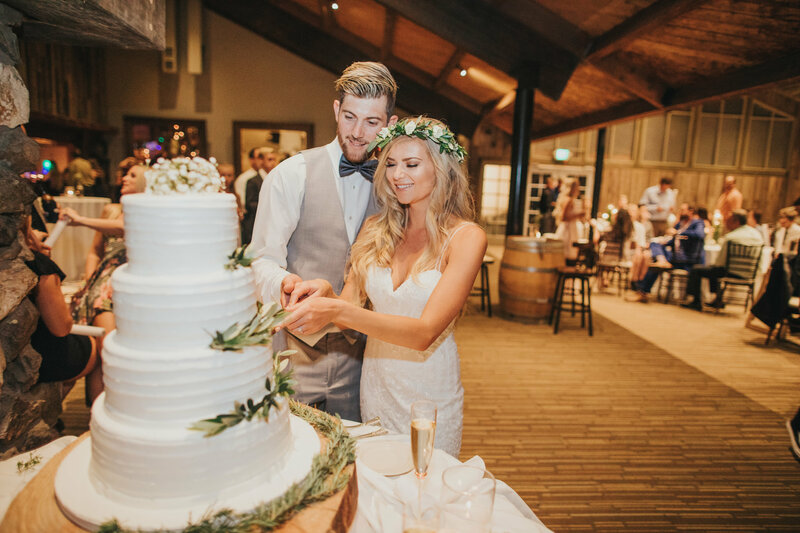 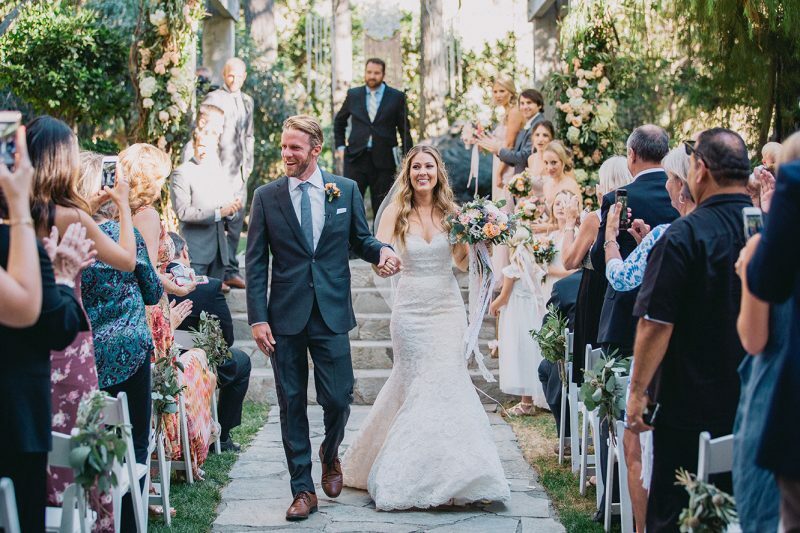 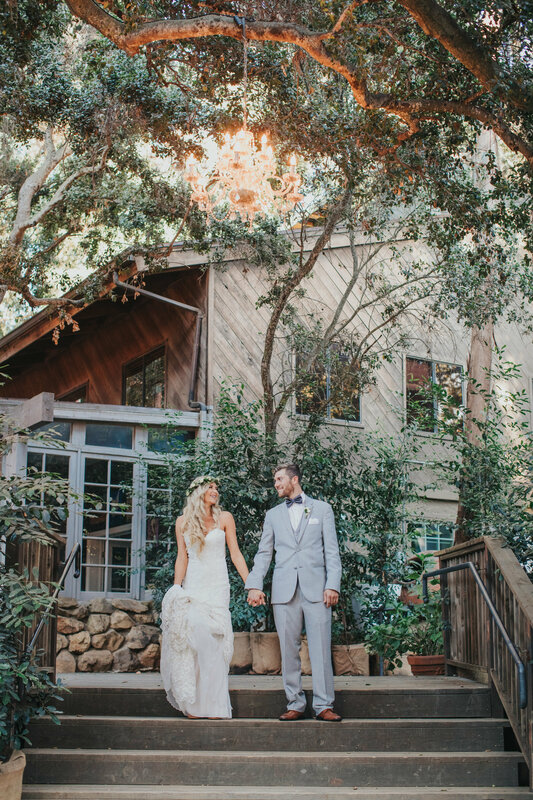 Oak furnishings, lush gardens and a stone wall fireplace set the tone for the ultimate rustic wedding. 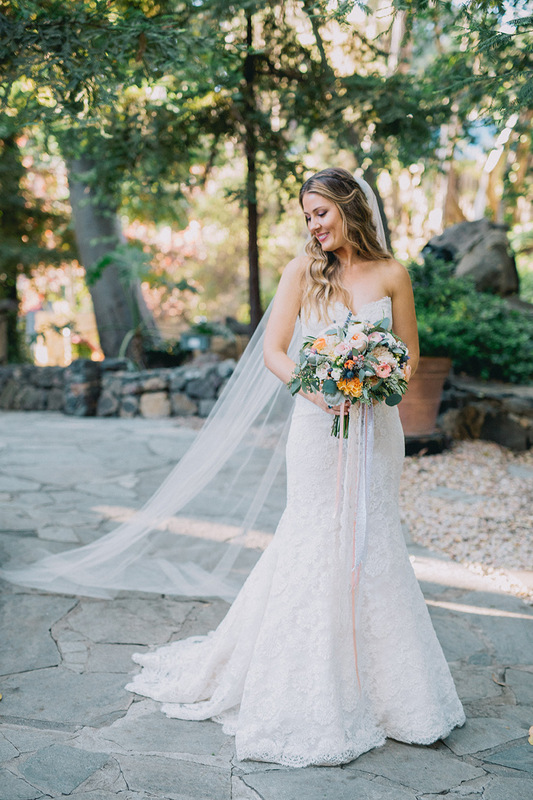 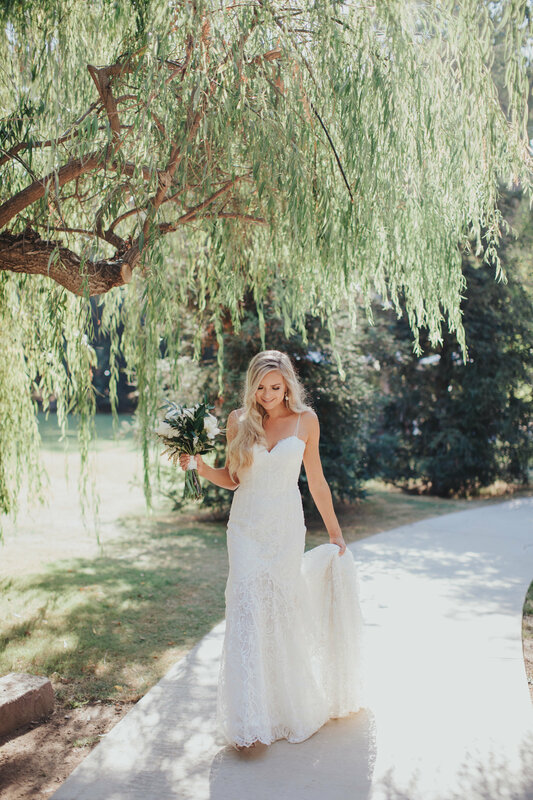 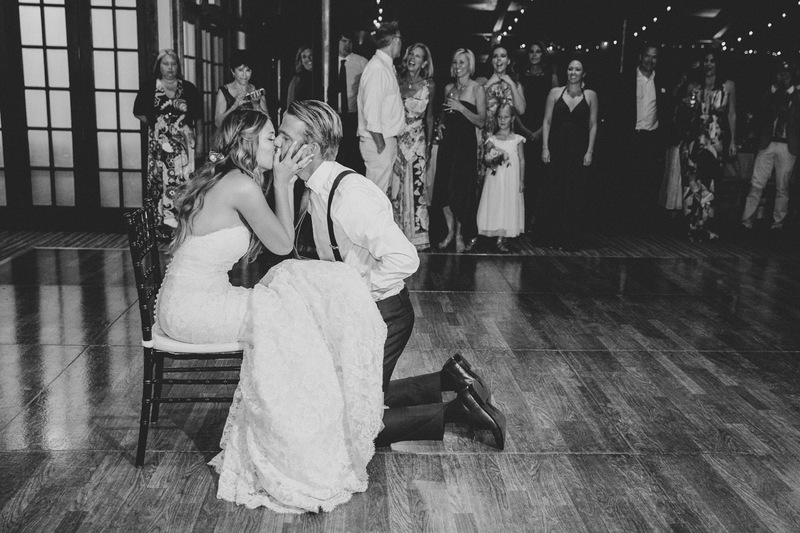 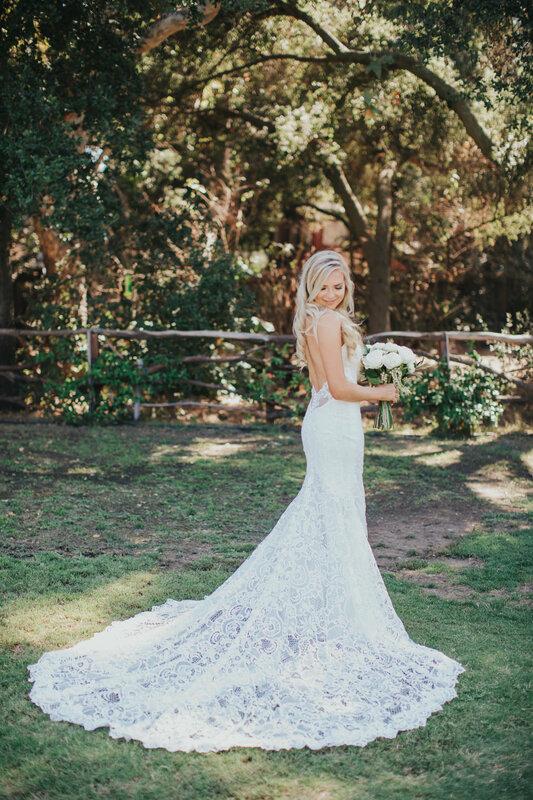 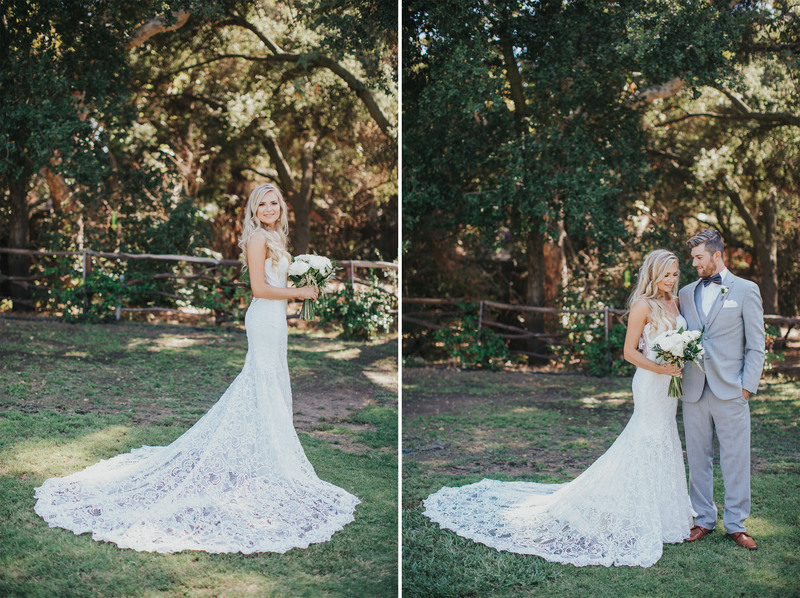 The bride opts for a simple, lace fishtail wedding dress. 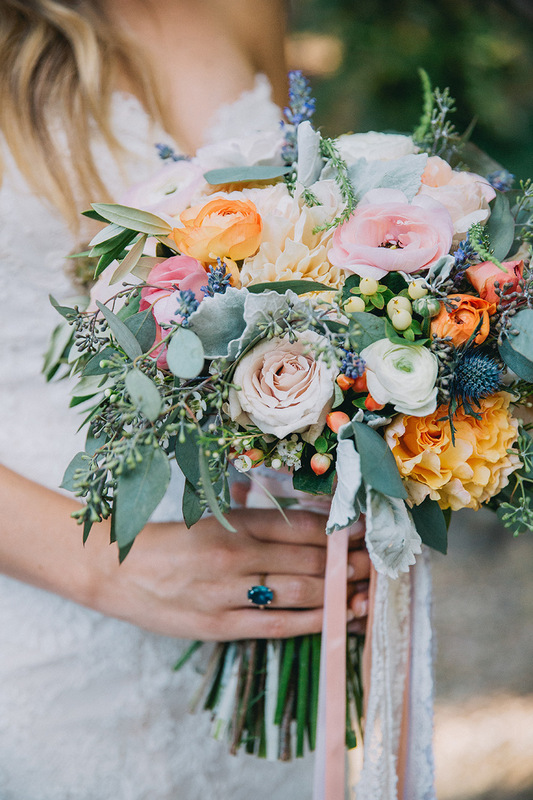 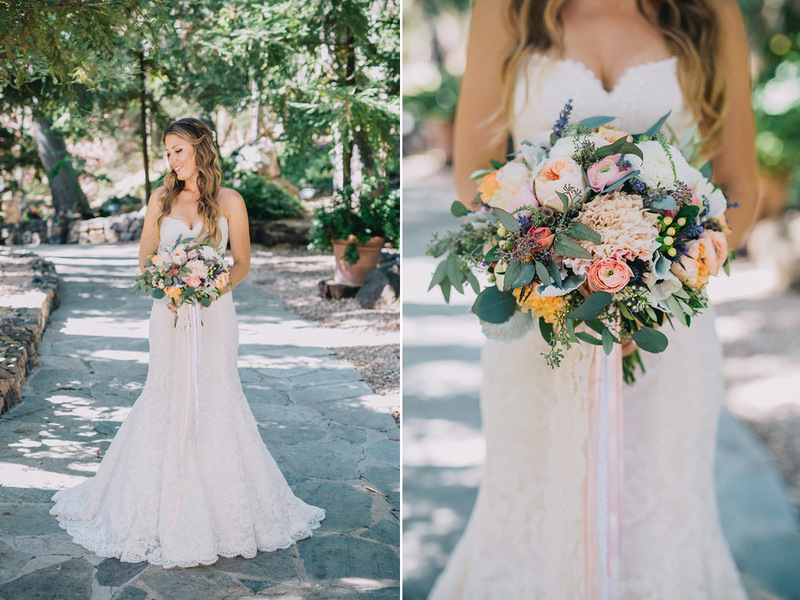 Her bouquet features roses and lavender in pastel shades, offset by wild green leaves. 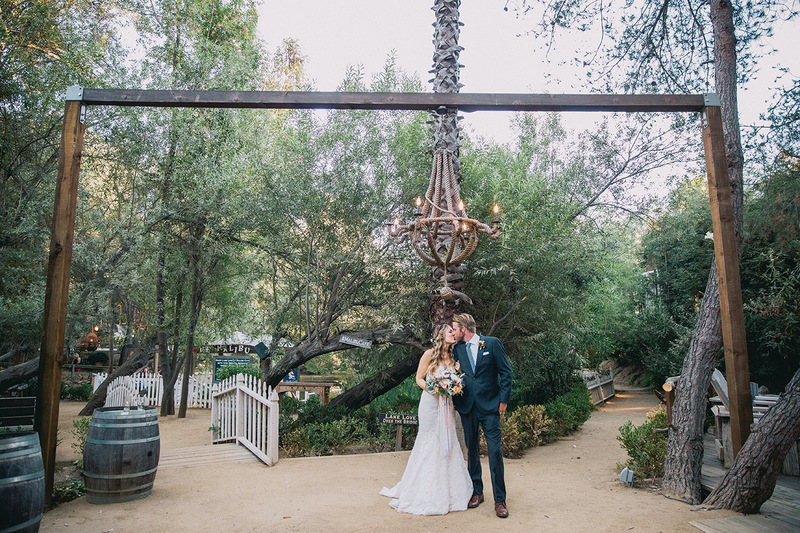 It also has trailing ribbons dangling from the stem. 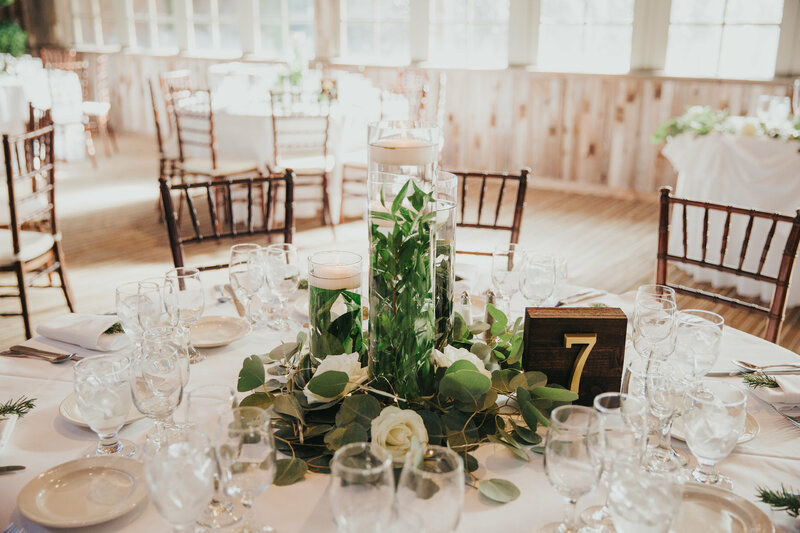 As a result, a unique floral arrangement is born. 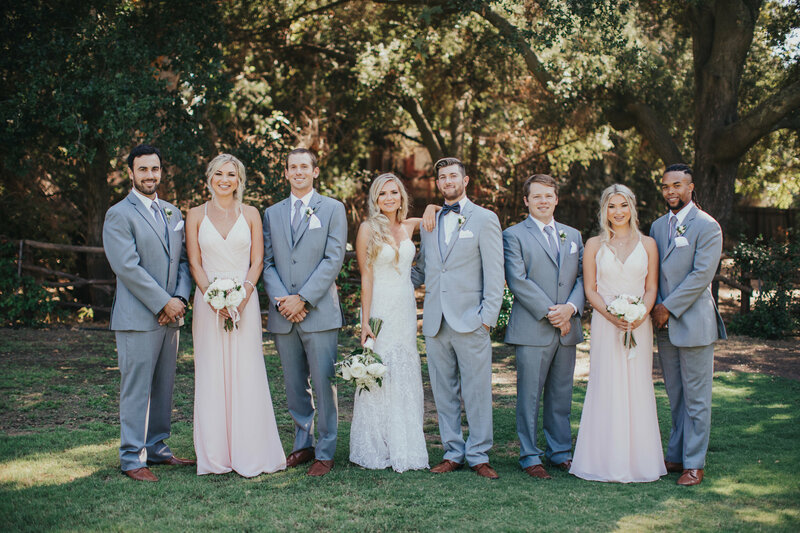 Amie has six bridesmaids. 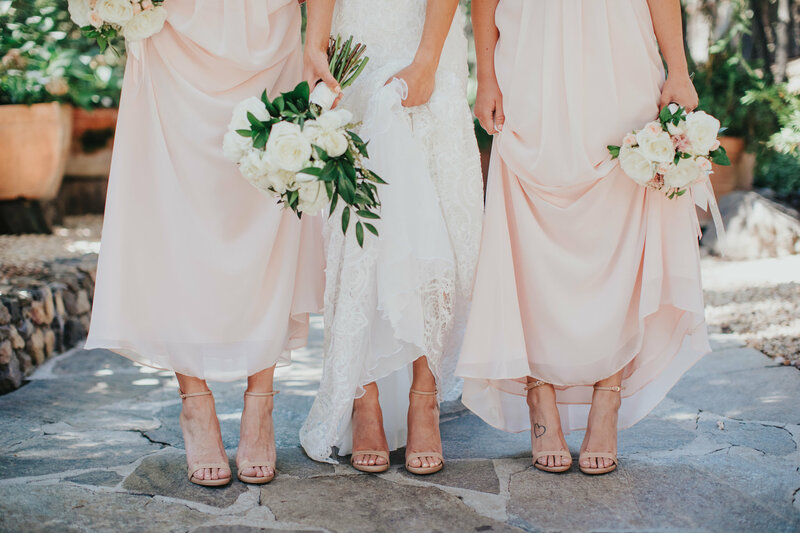 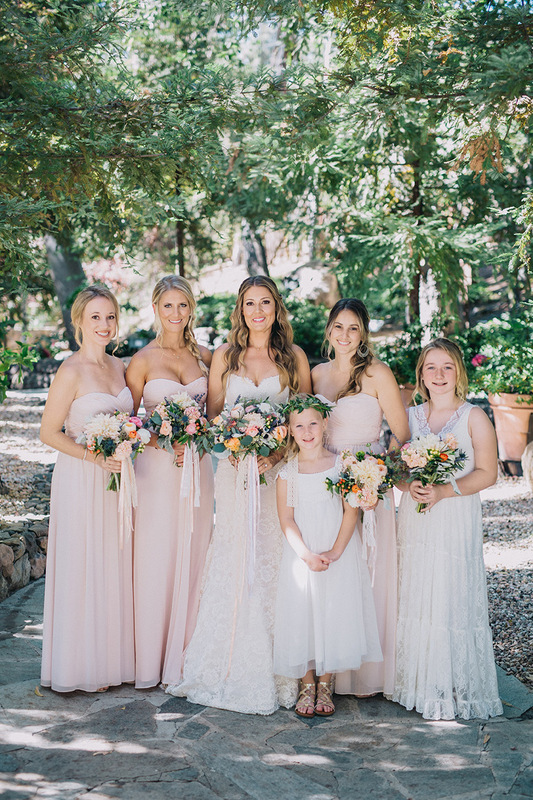 Three of which wear pastel pink strapless gowns, whilst two younger flower girls sport cream chiffon and lace. 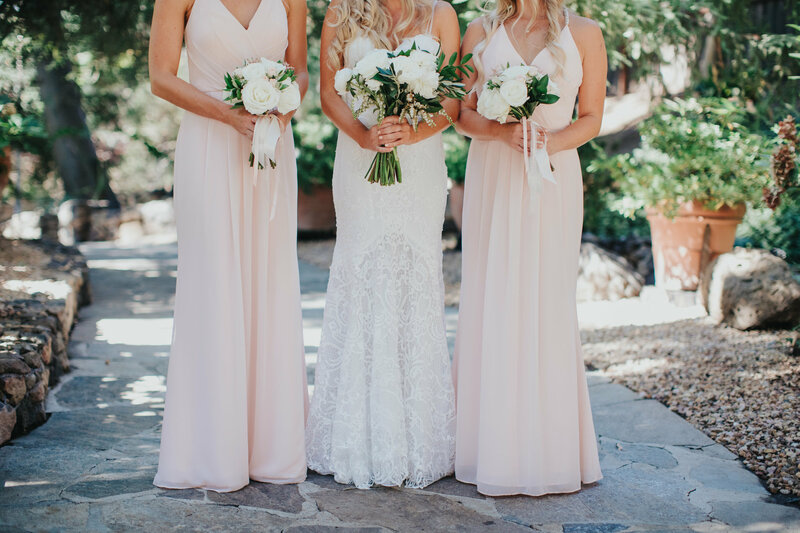 Despite the contrast, each of them holds a similar bouquet to the bride. 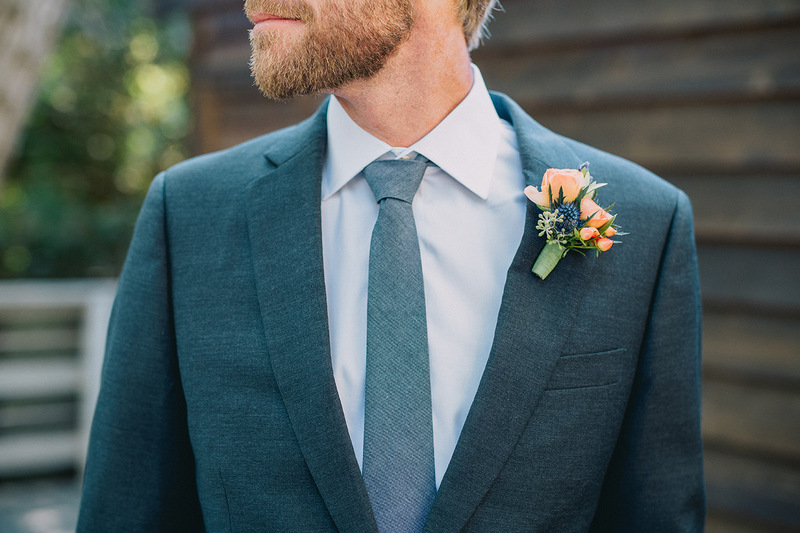 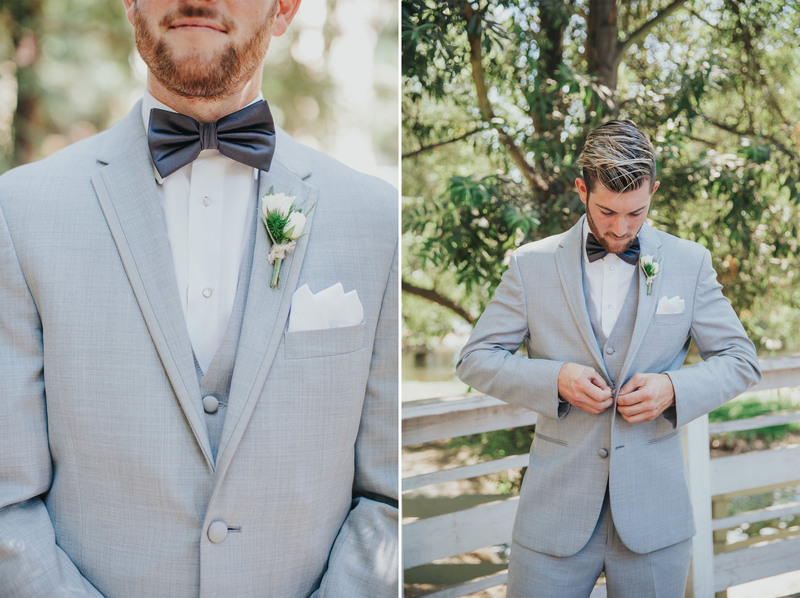 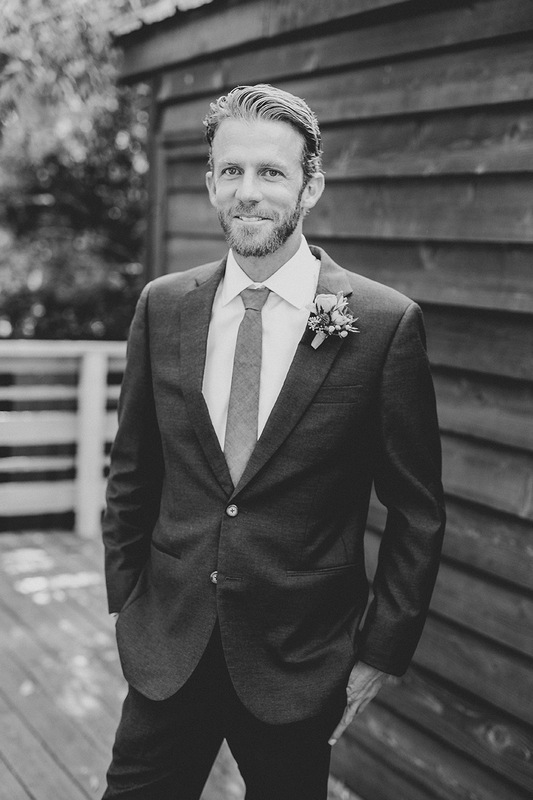 As for Brad, he opts for a simple gray suit with braces, attaching a flower to his lapel. 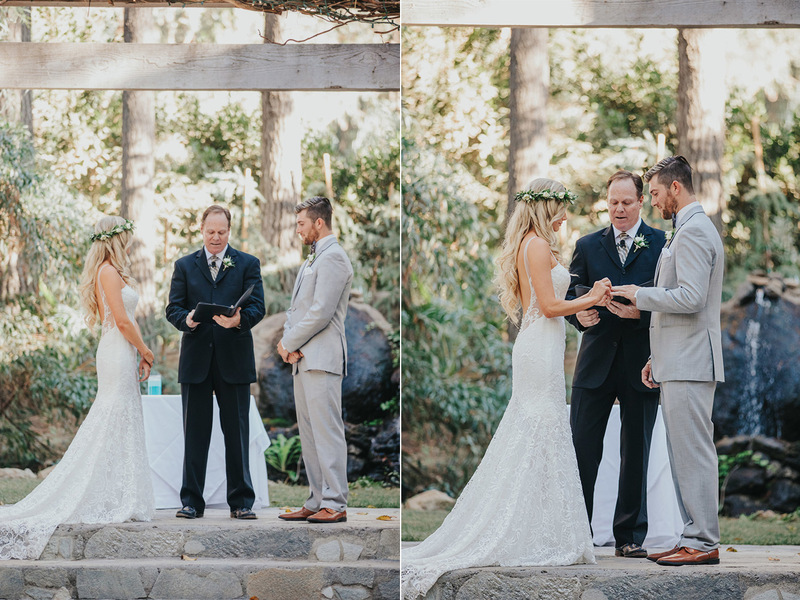 For wedding invitation ideas, look no further. 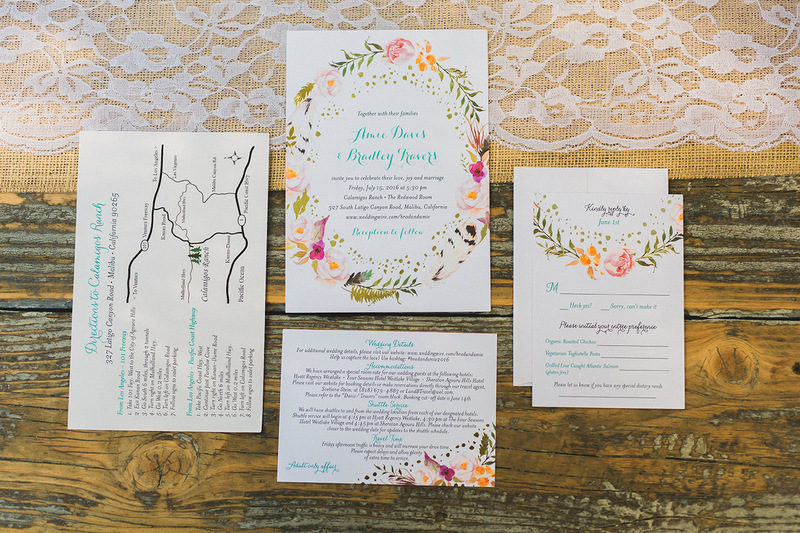 The couple send out colorful cards with hand-painted florals that pay homage to the theme. 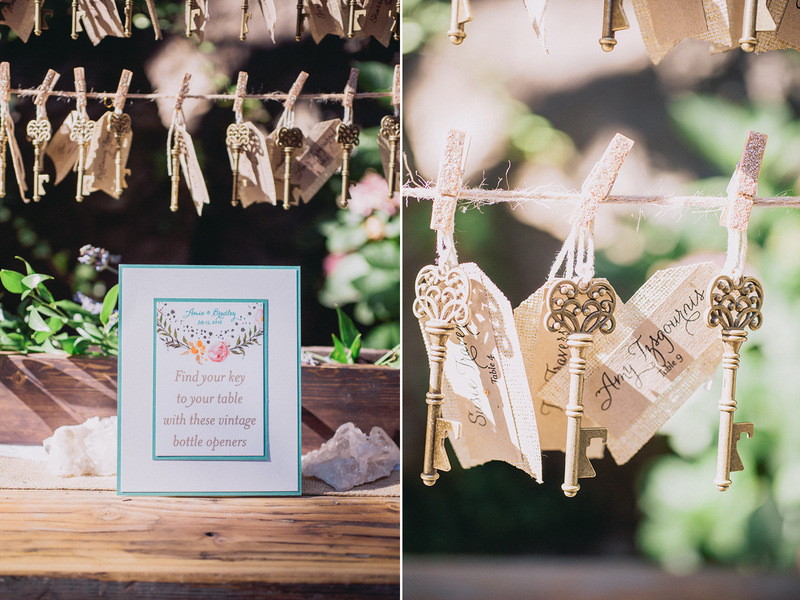 The package also includes a treasure-style map guiding guests to their destination. 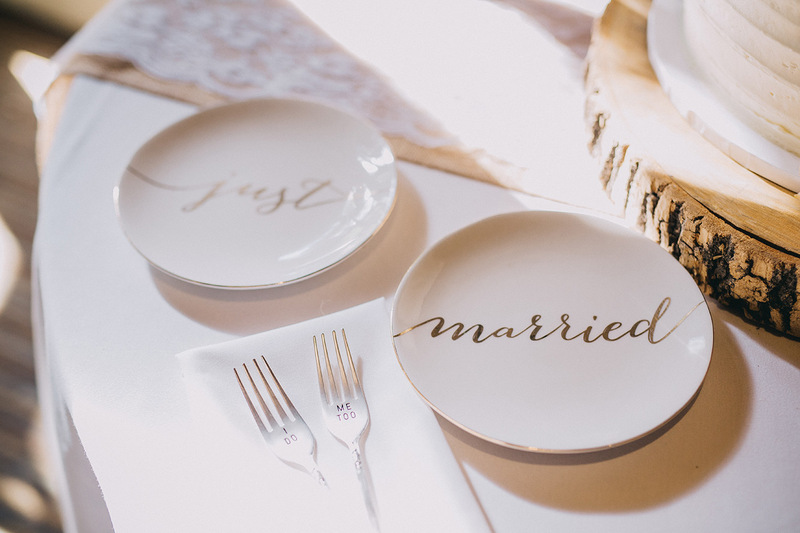 It’s whimsical and fun, encapsulating everything about the couple’s marriage. 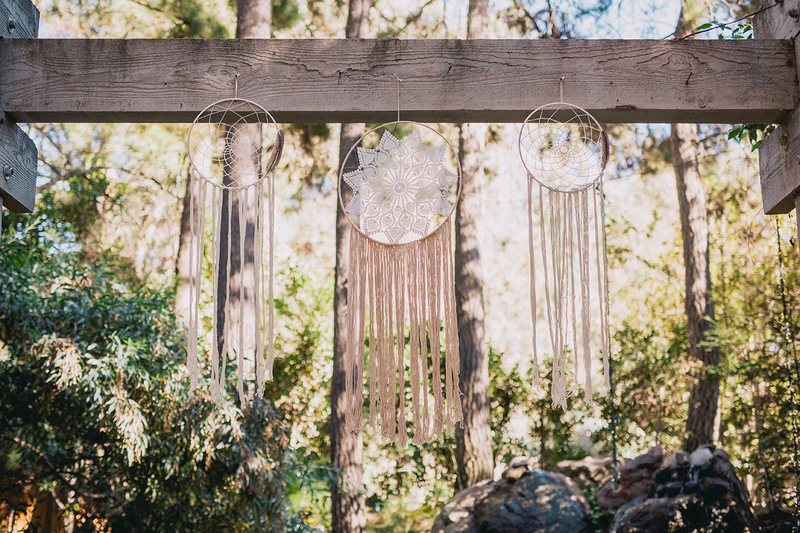 In terms of wedding decor, bohemian touches are everywhere. 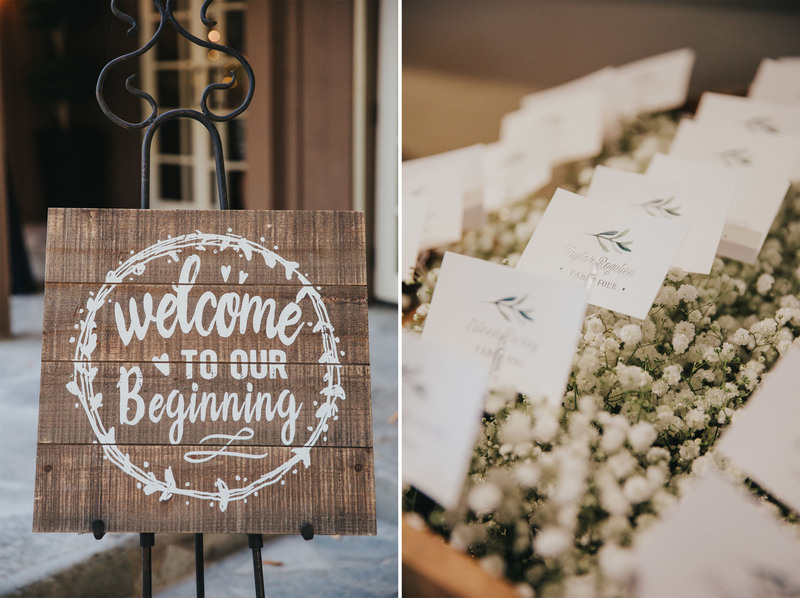 Vintage bottle openers line the entrance – each with a name label to guide guests to their seats. 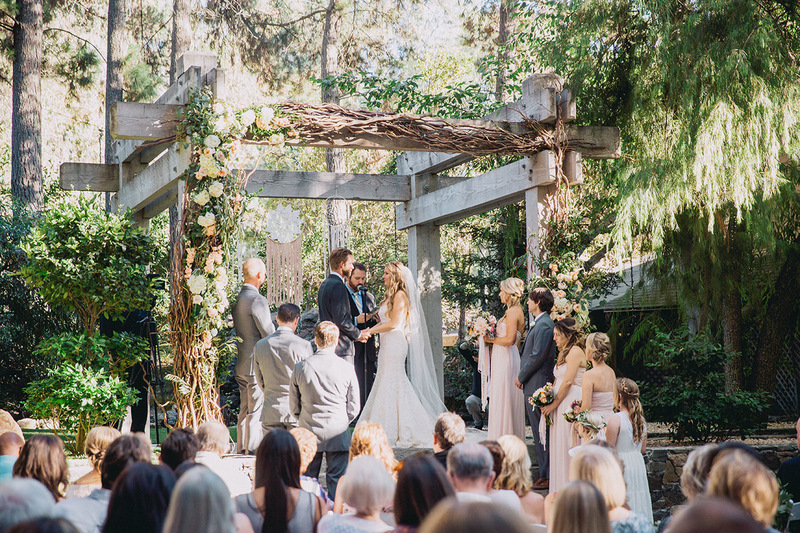 Dream catchers sway from the wooden-beamed arch, as dramatic oak trees, waterfalls and flagstone paths create an endearing garden space. 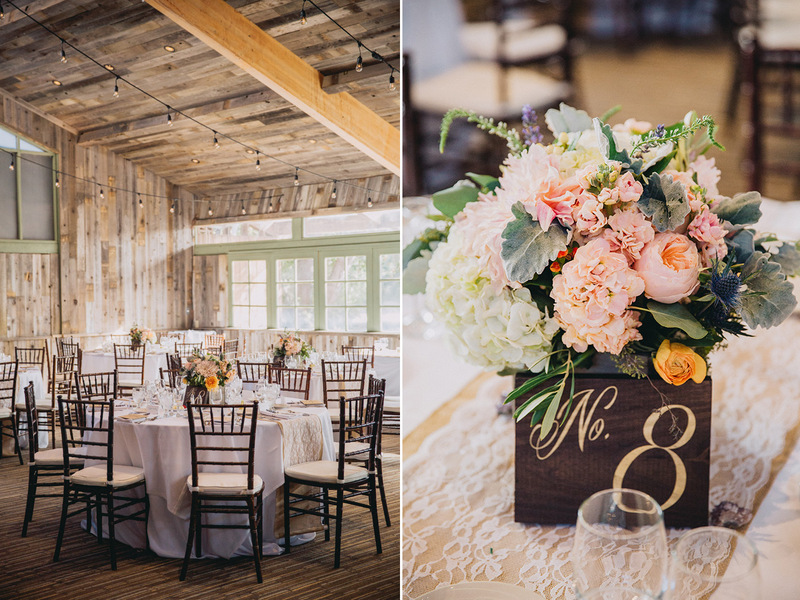 This rustic charm continues into the after-celebration. 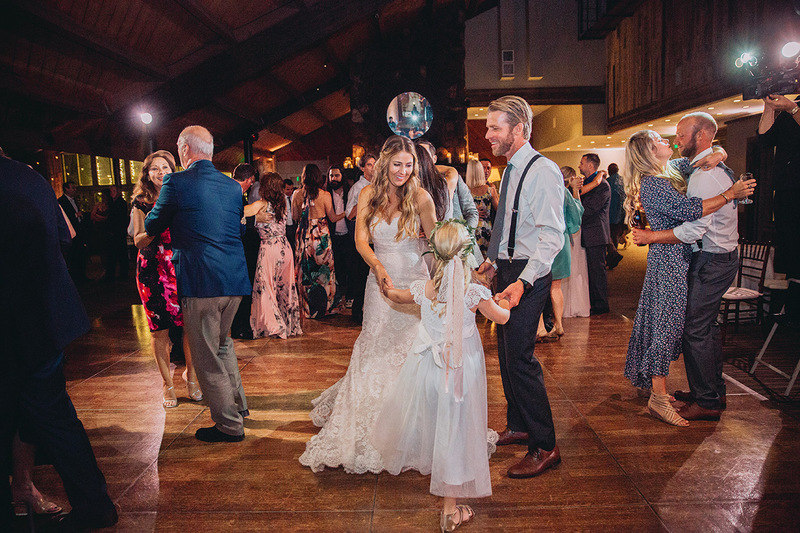 Decked in fairy lights, The Redwood Room’s indoor hall provides a fantastic area to drink, dine and dance. 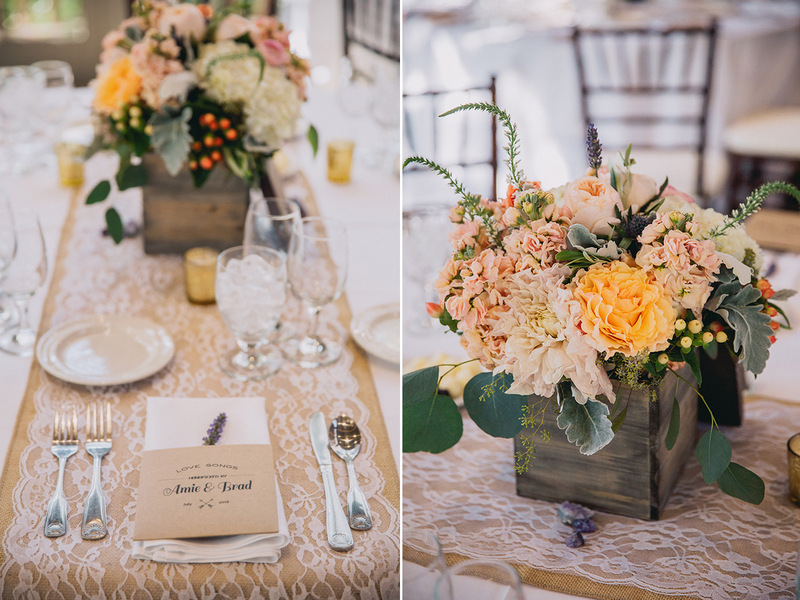 Quirky vintage lace and engraved plates and cutlery adorn the table. 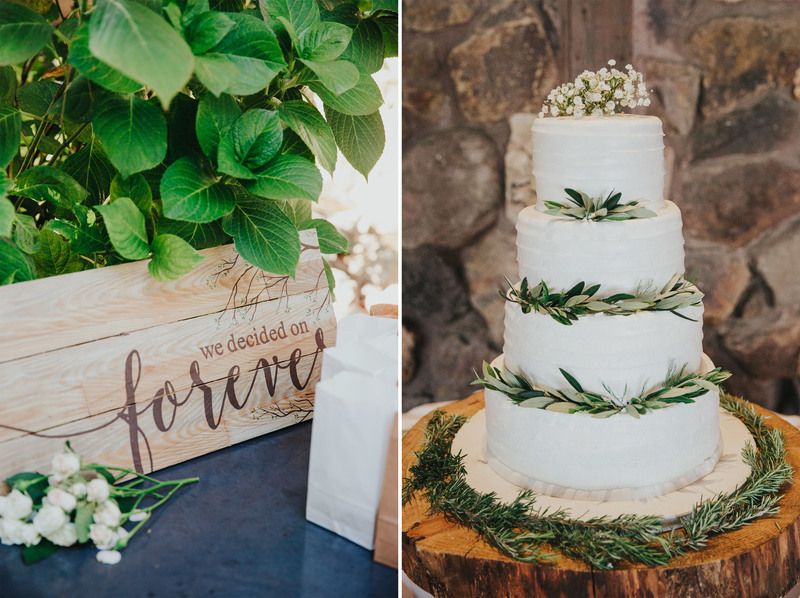 The cake, however – is simple. 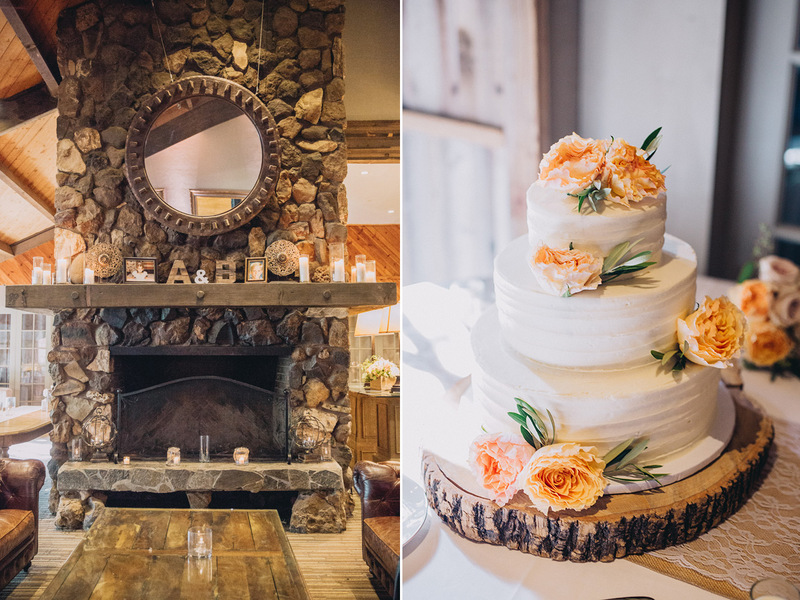 Placed on top of a round oak panel, pale florals garnish the three-tiered dessert. 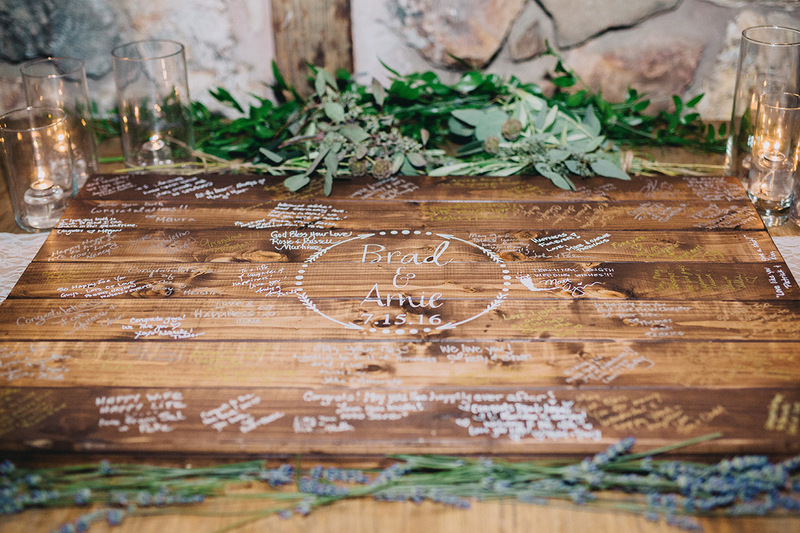 Keeping in theme, Amie and Brad also provide a large wooden slate for guests to sign and leave a message. 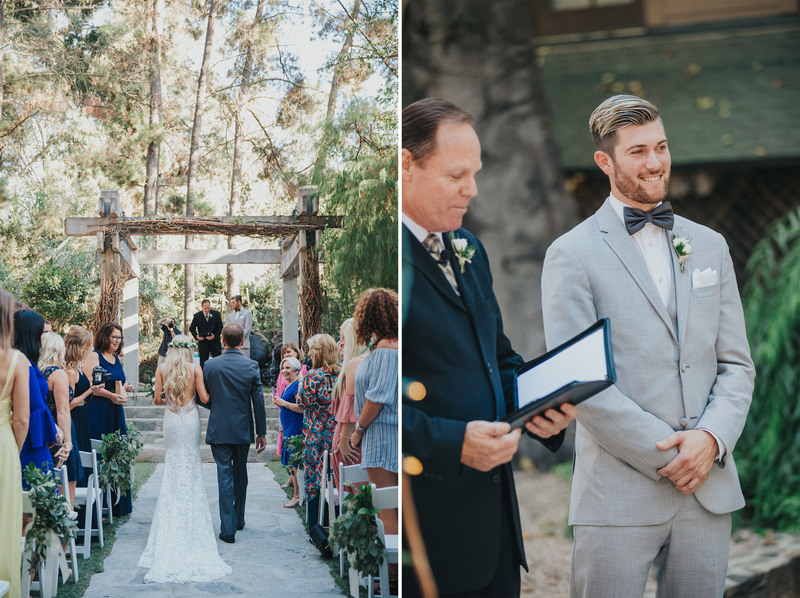 It consequently gives them the perfect keepsake to take home and remember. 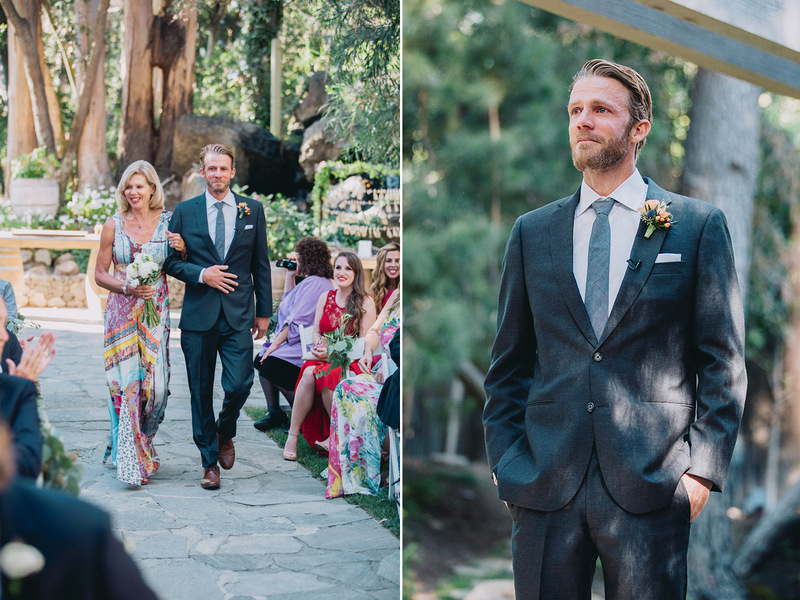 Towards the end, the happy couple escape the party to shoot imagery outside. 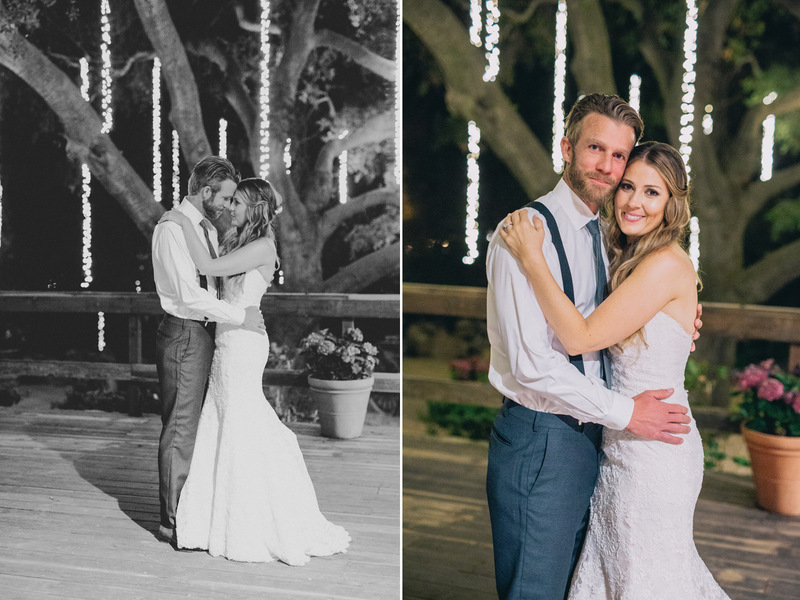 With lights wrapped around weeping willow vines, it makes for a truly romantic end to a beautiful day. 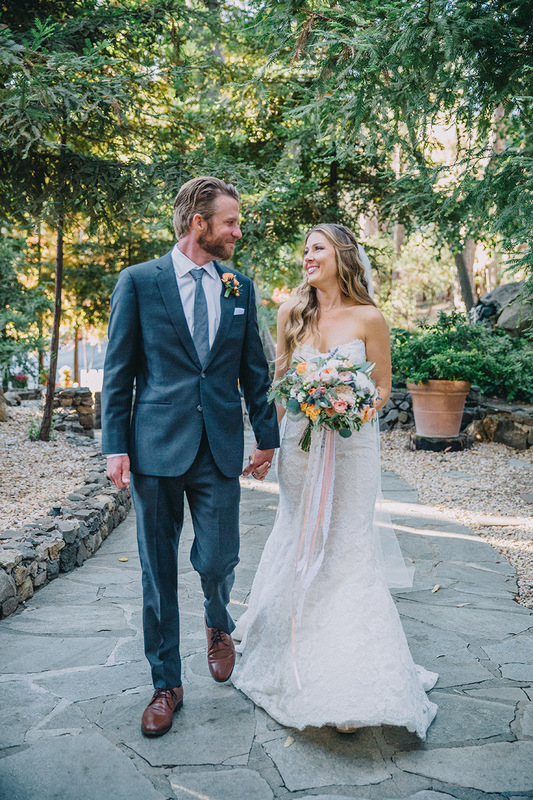 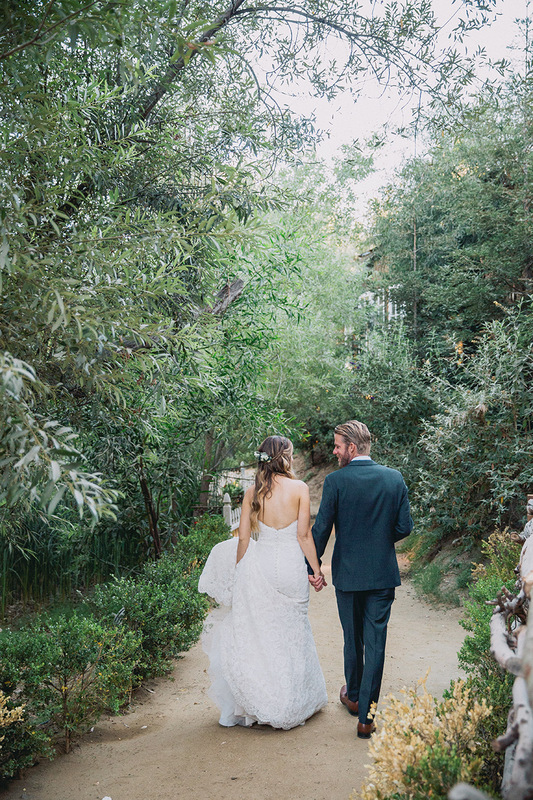 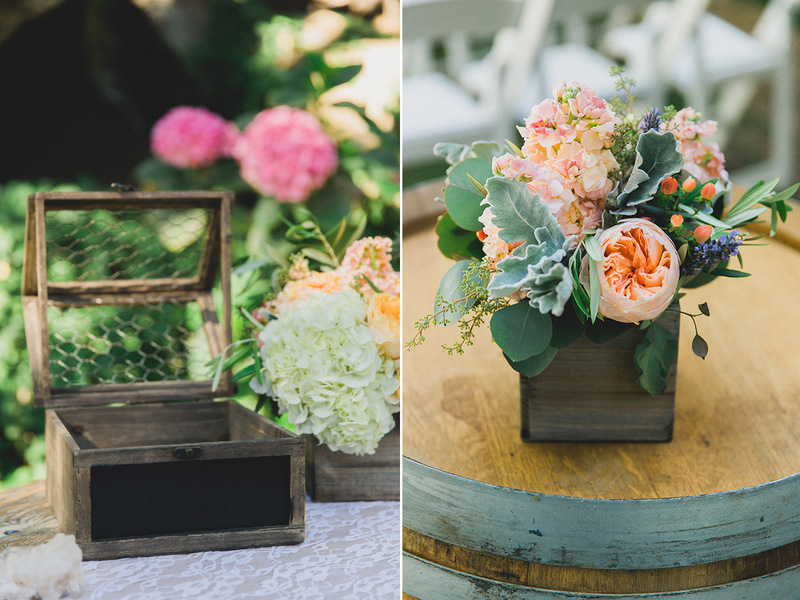 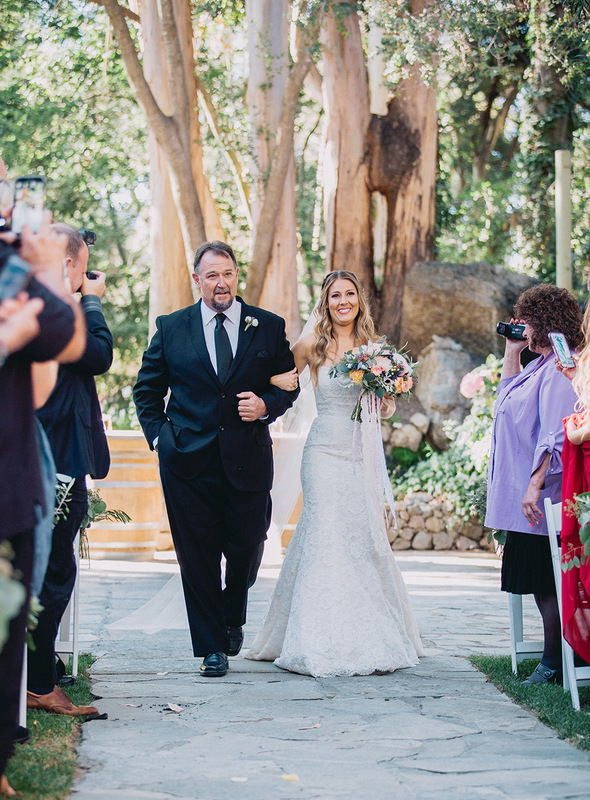 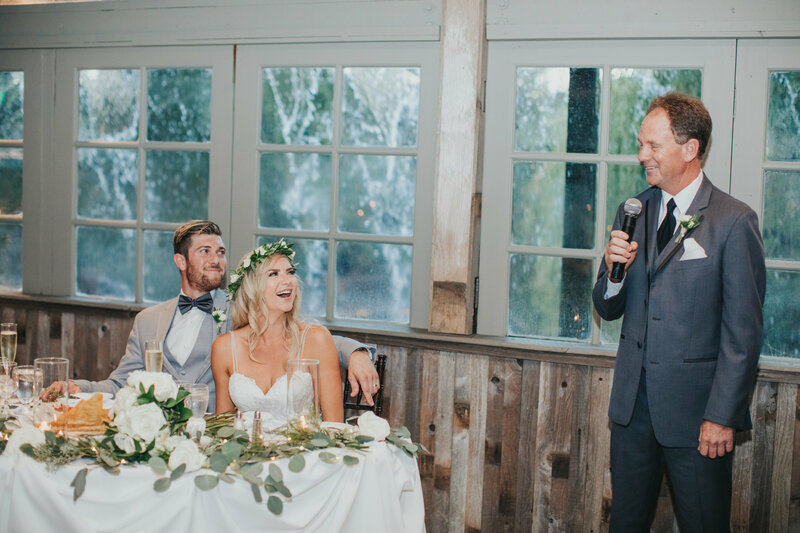 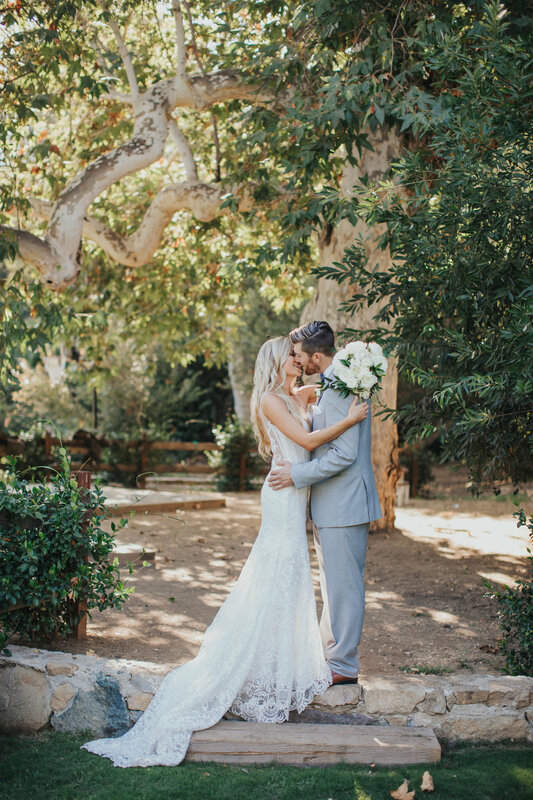 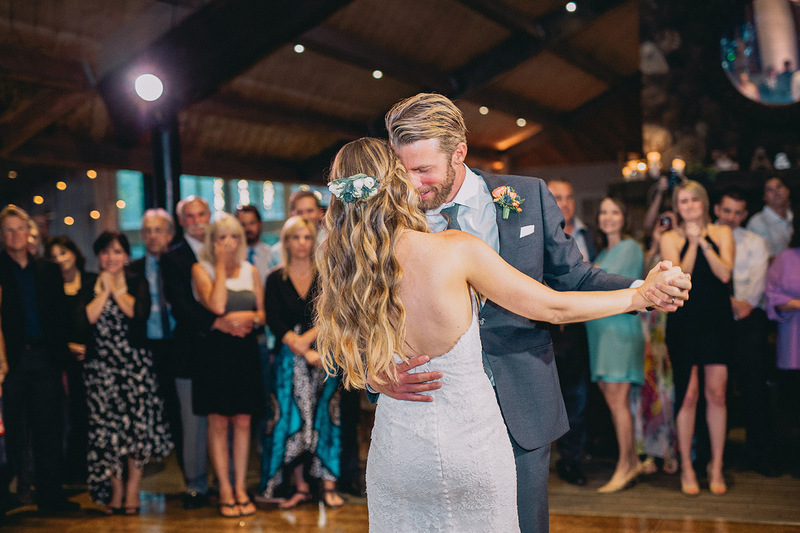 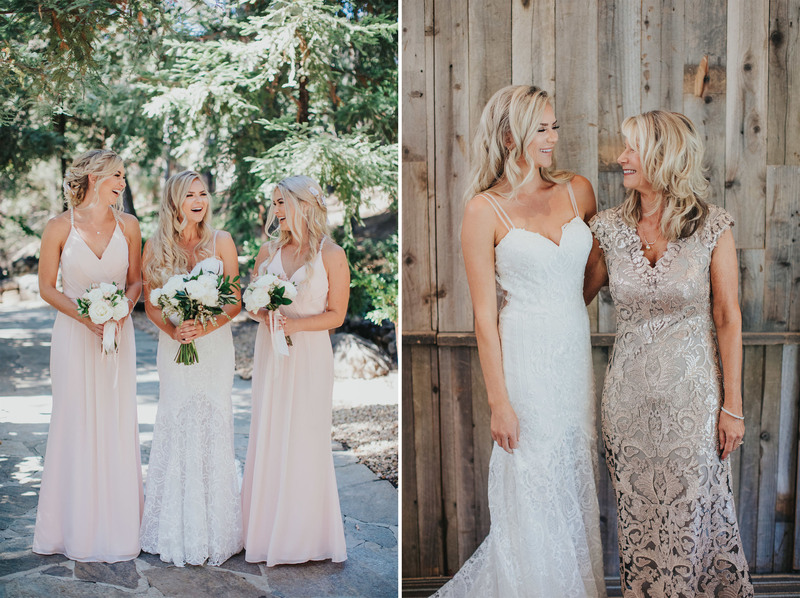 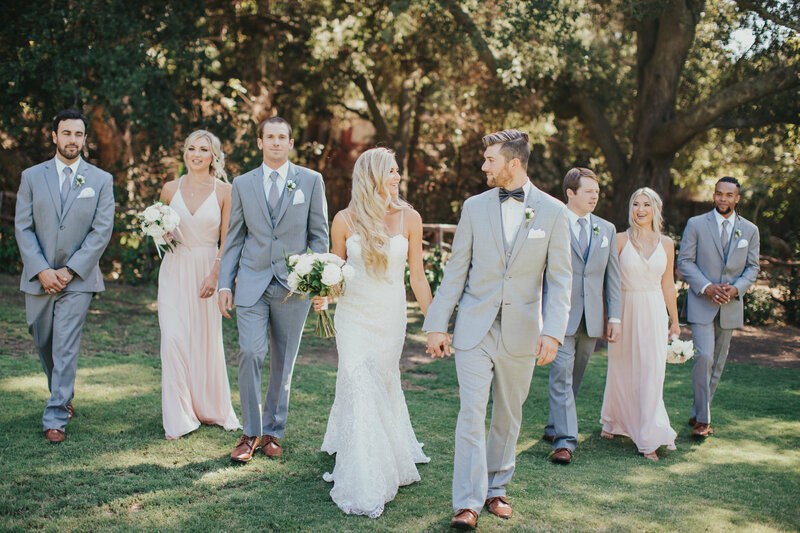 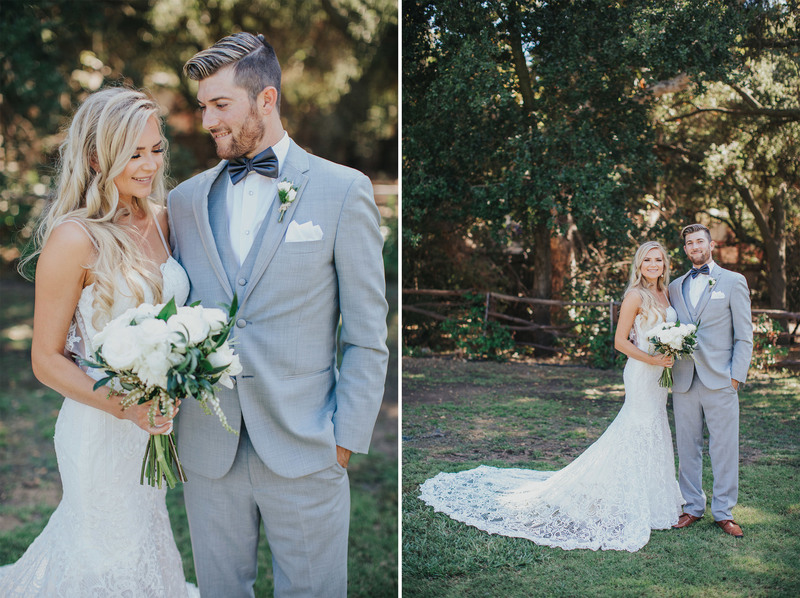 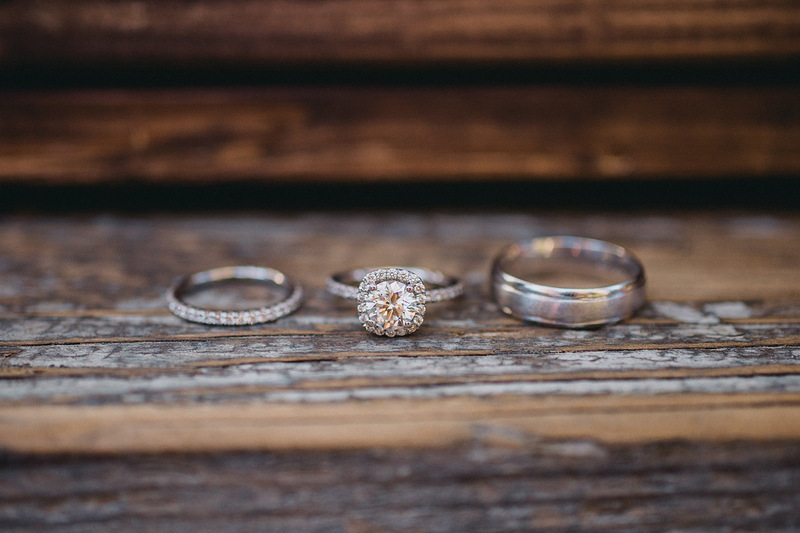 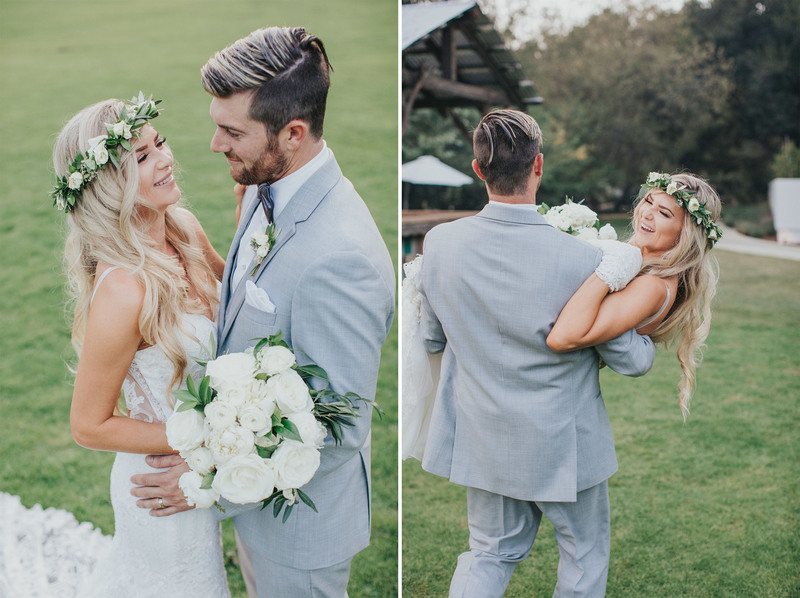 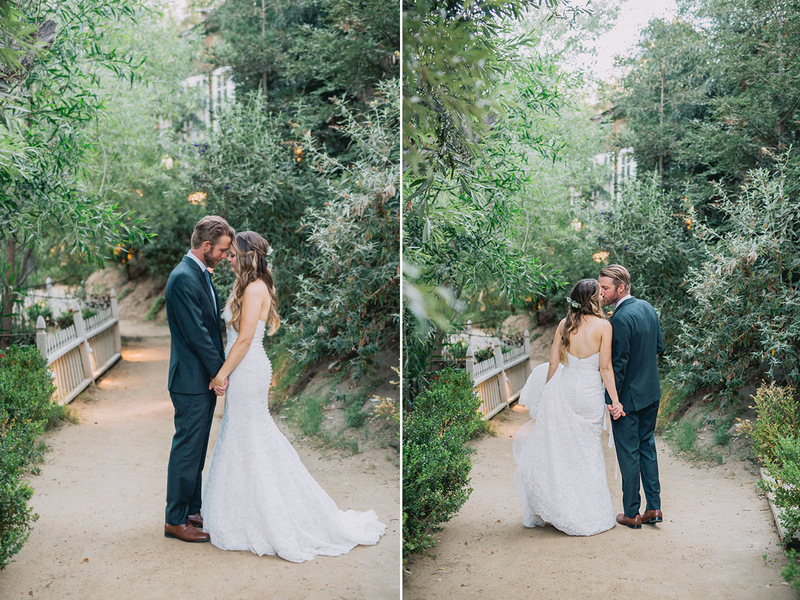 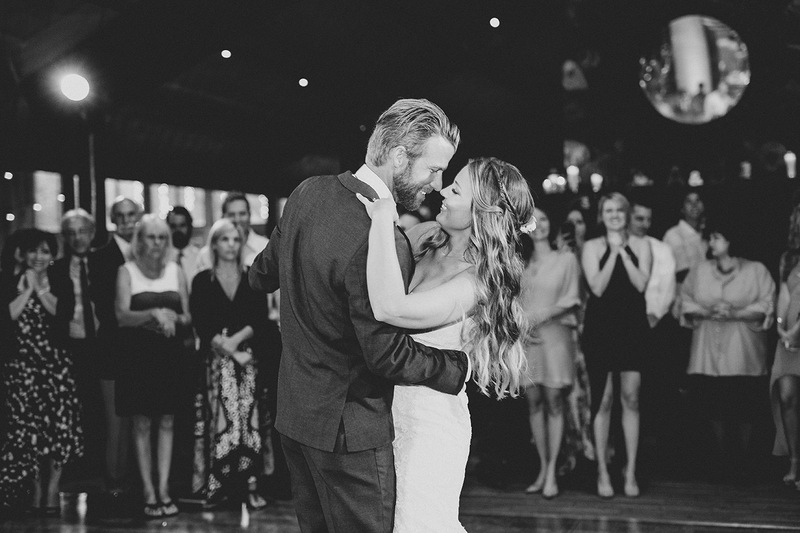 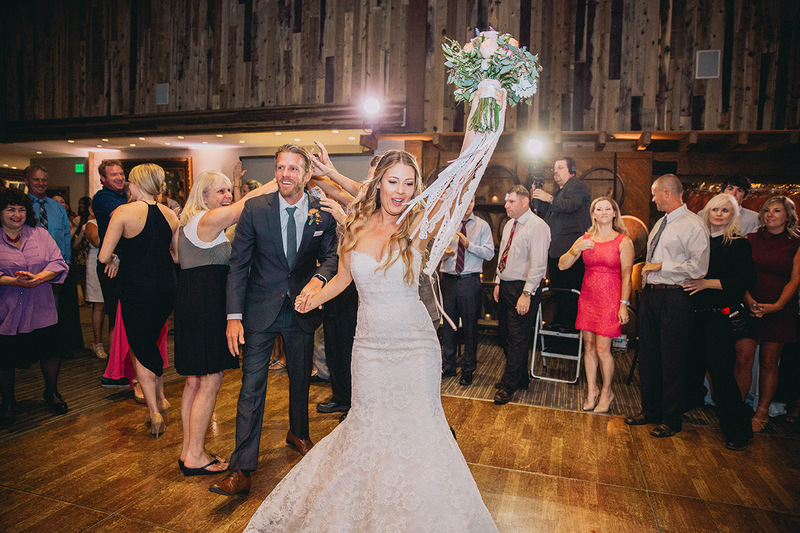 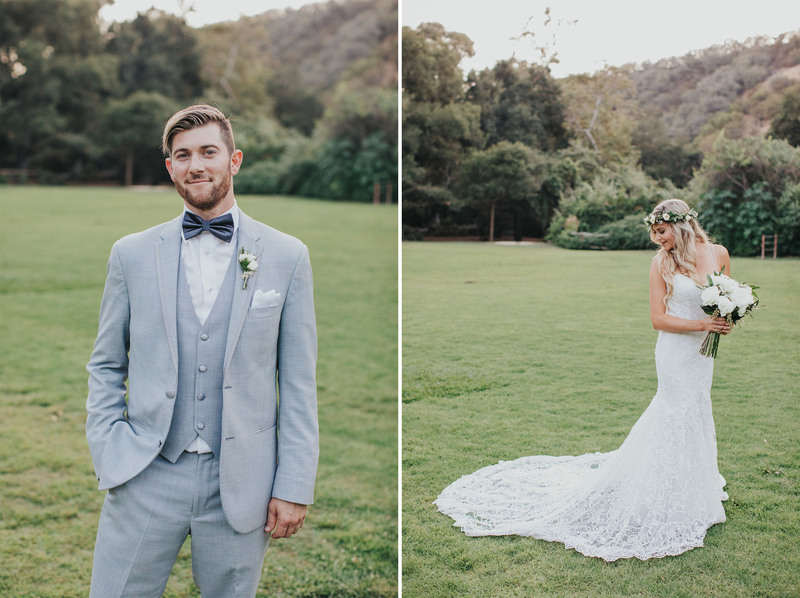 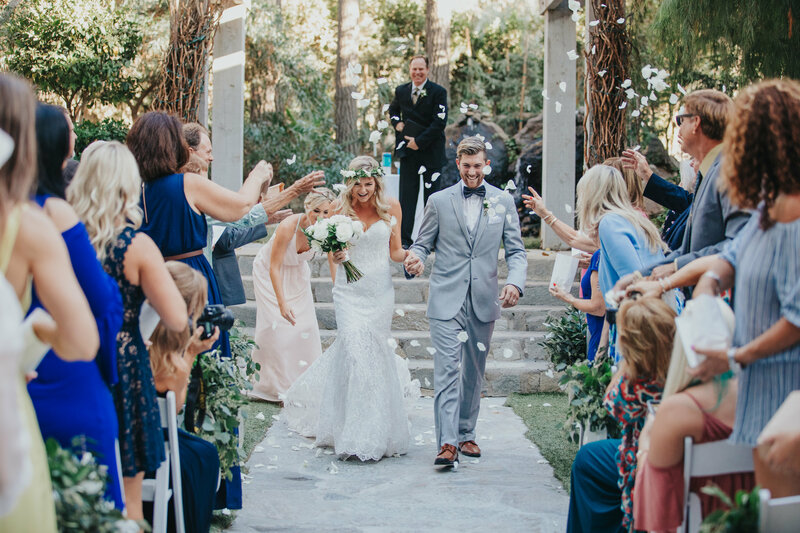 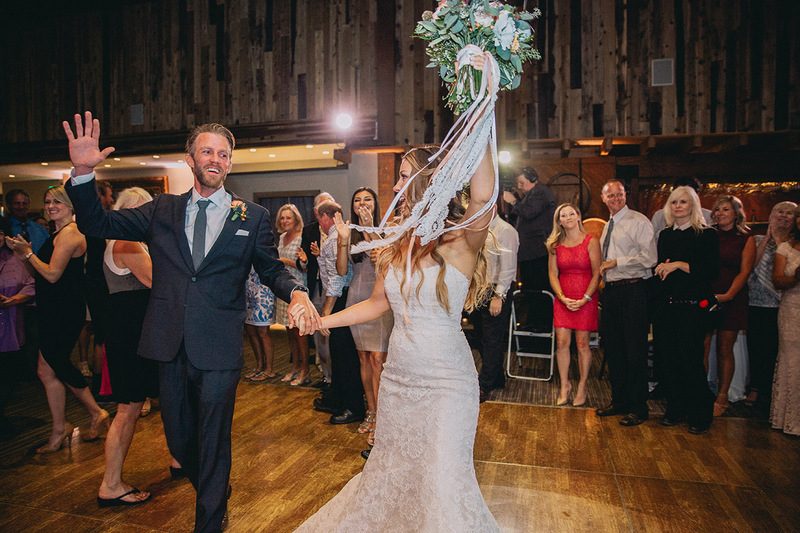 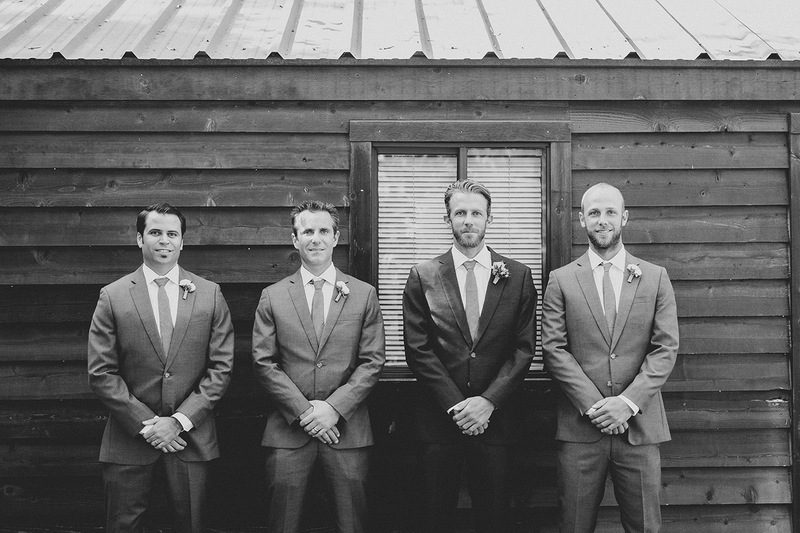 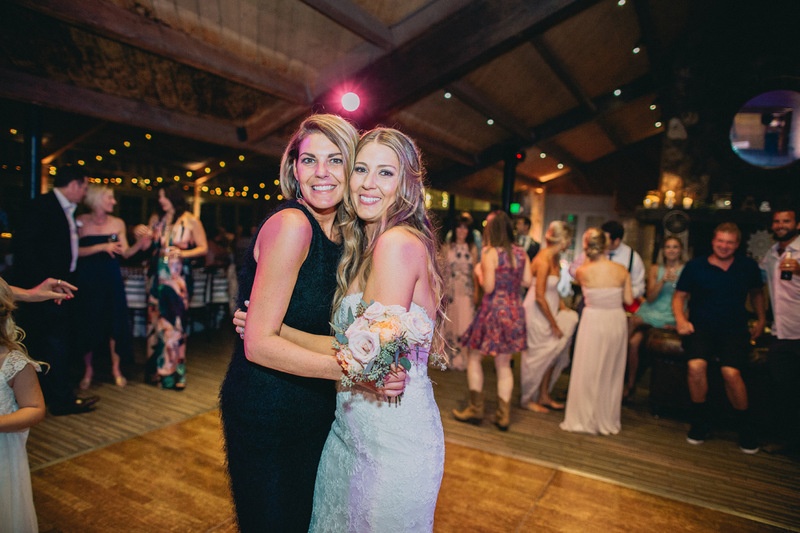 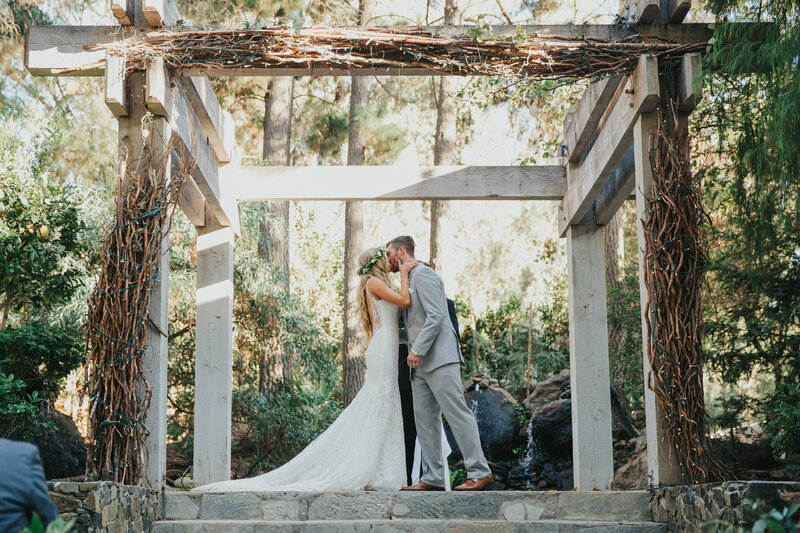 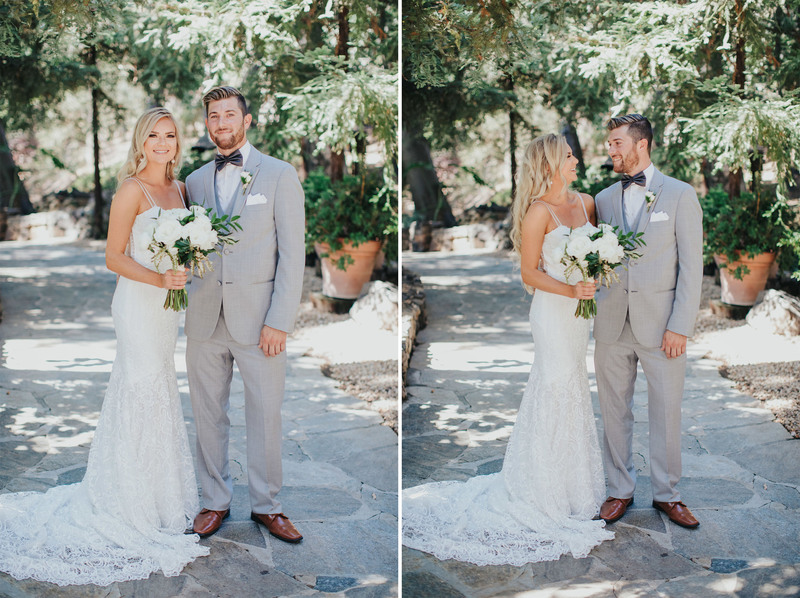 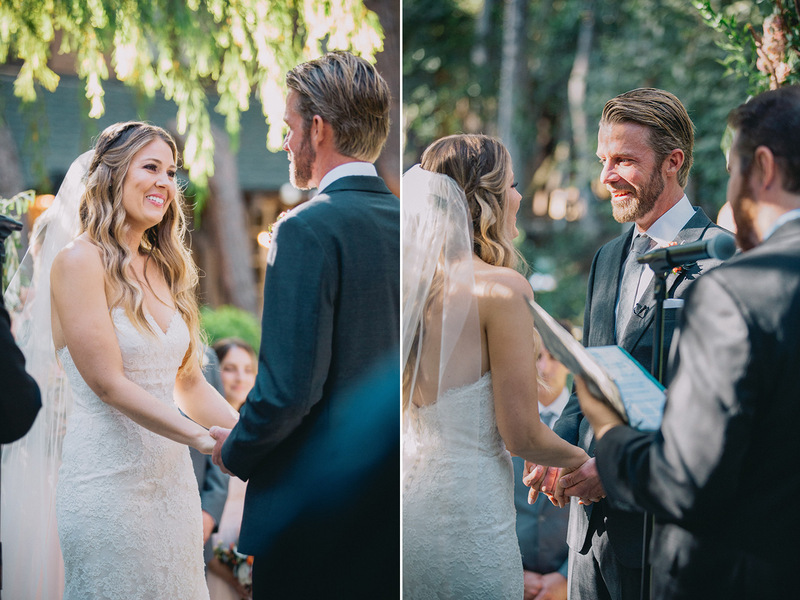 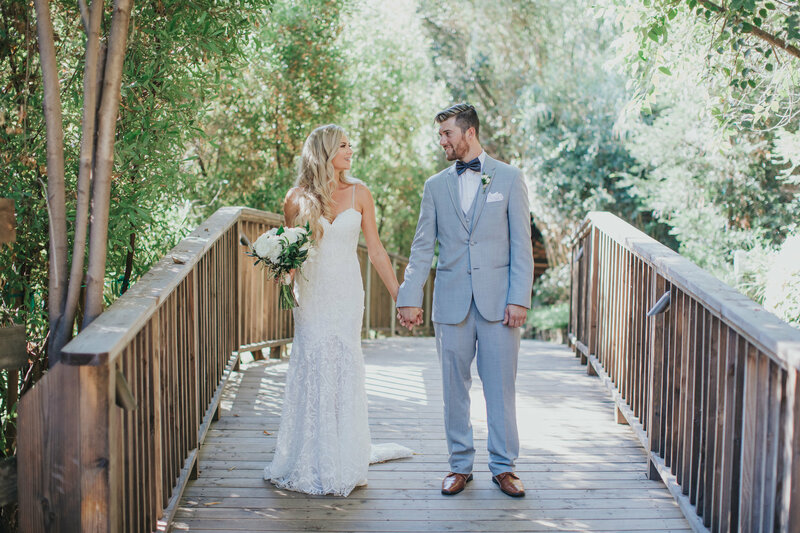 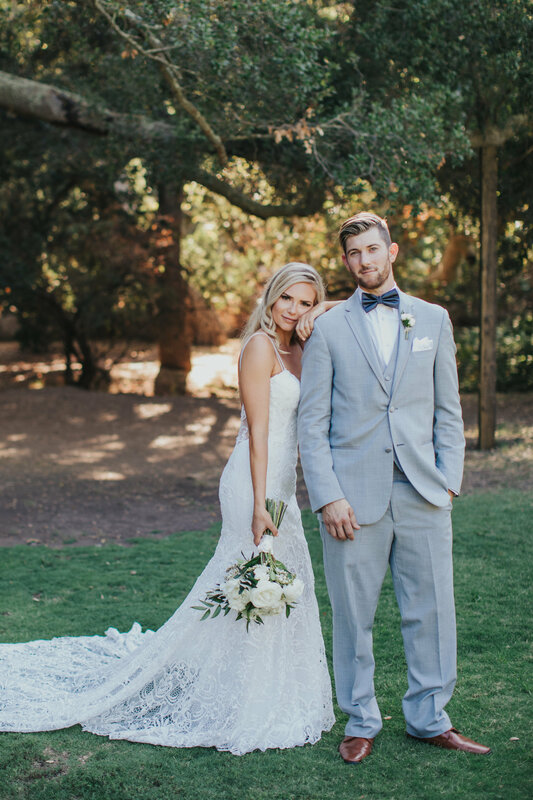 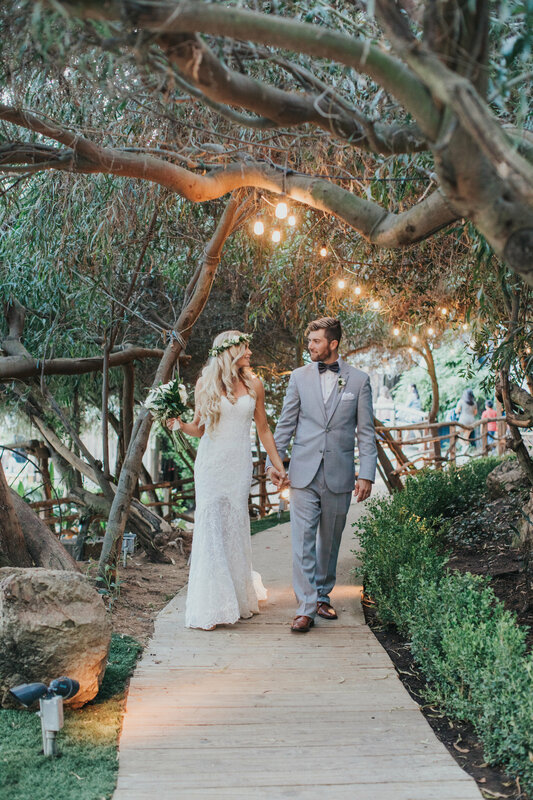 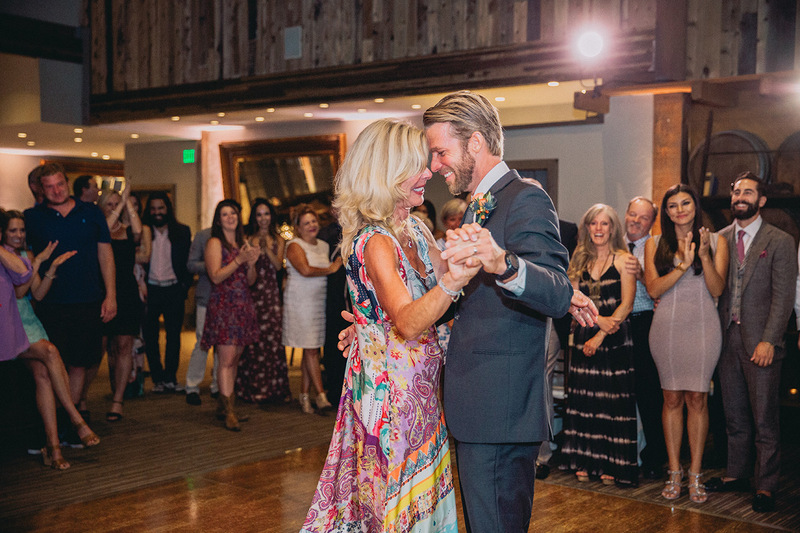 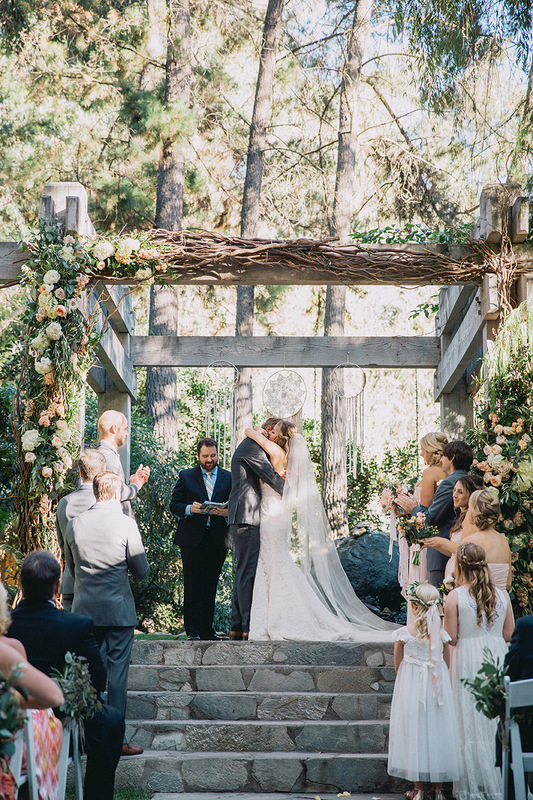 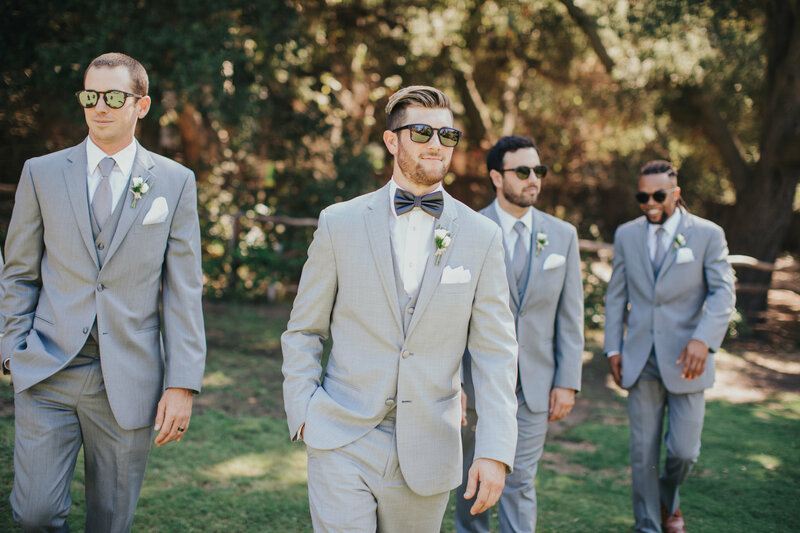 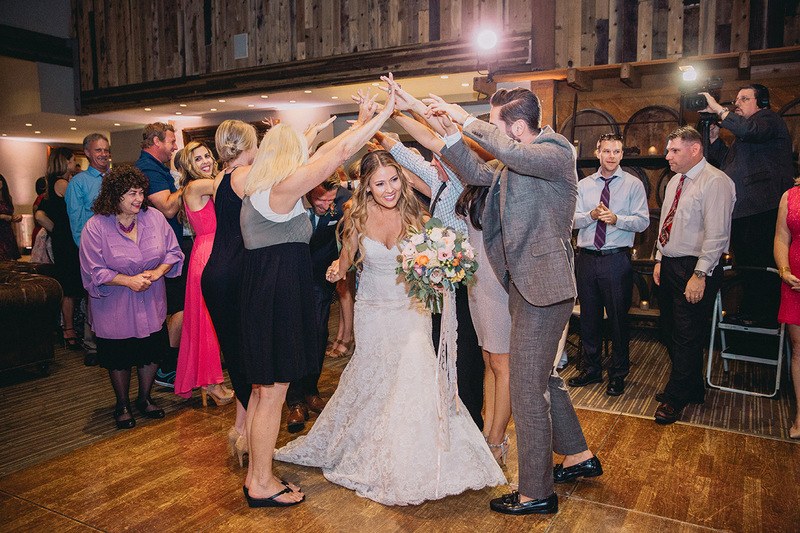 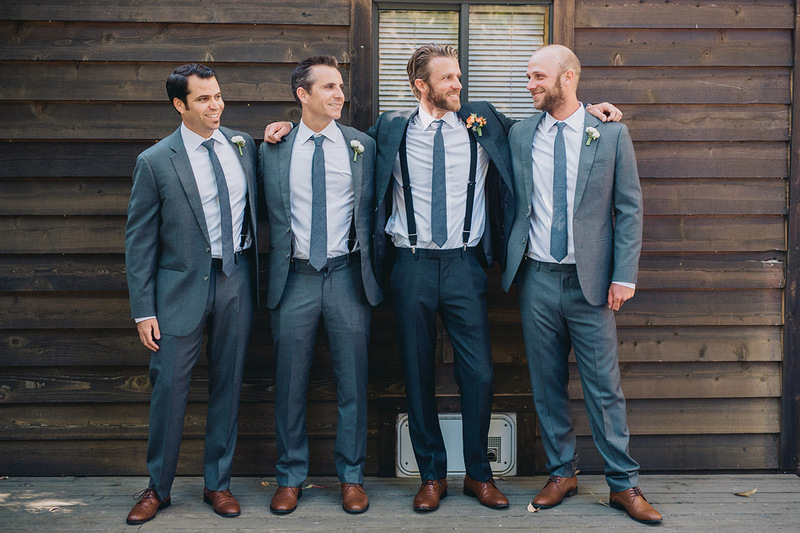 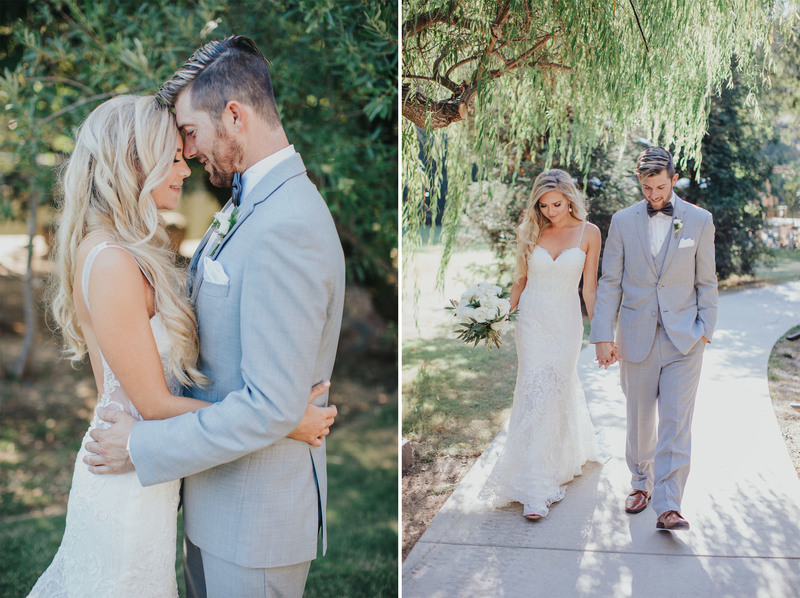 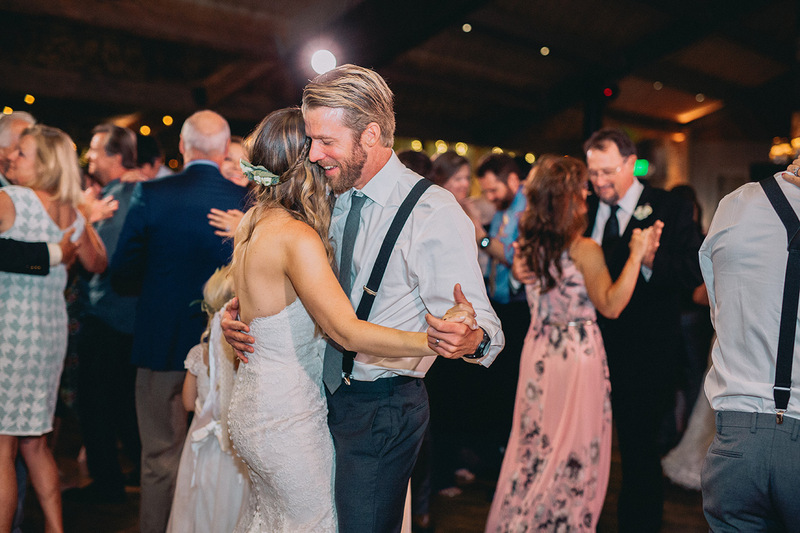 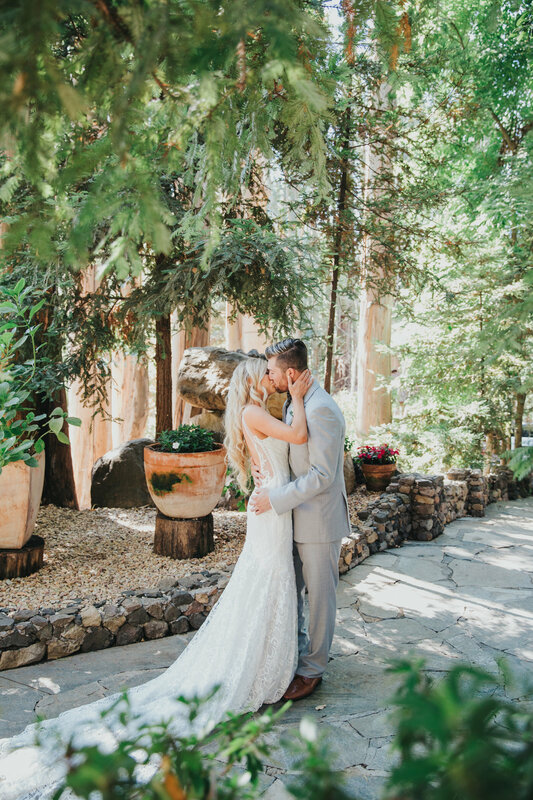 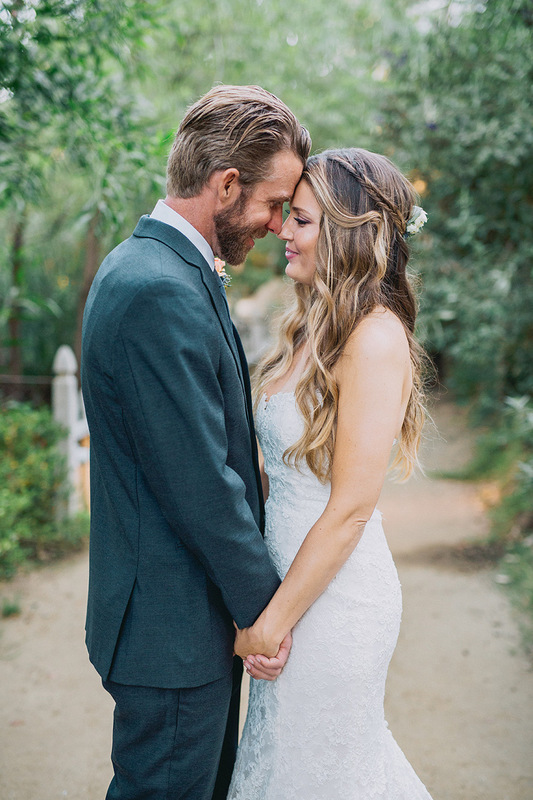 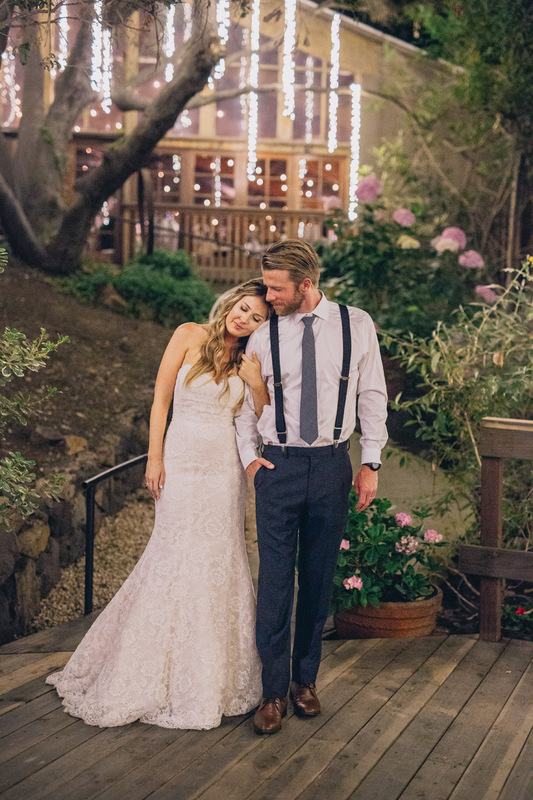 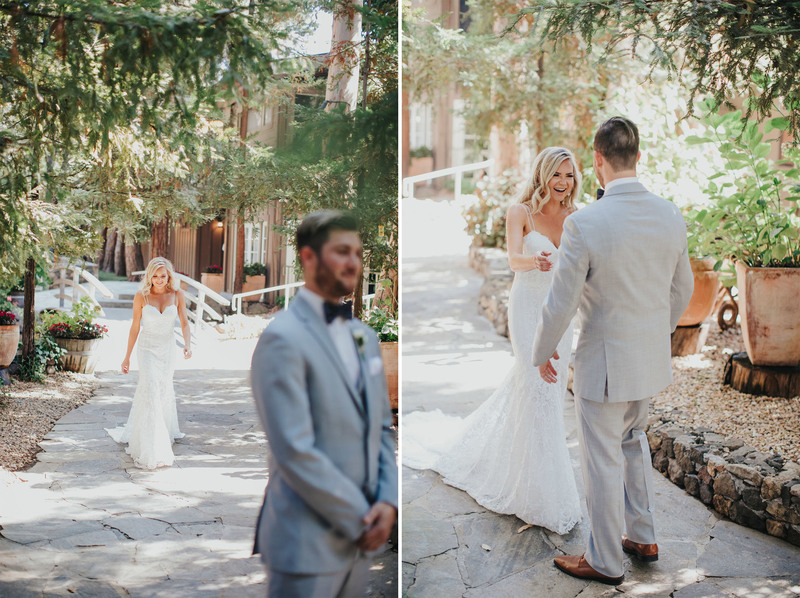 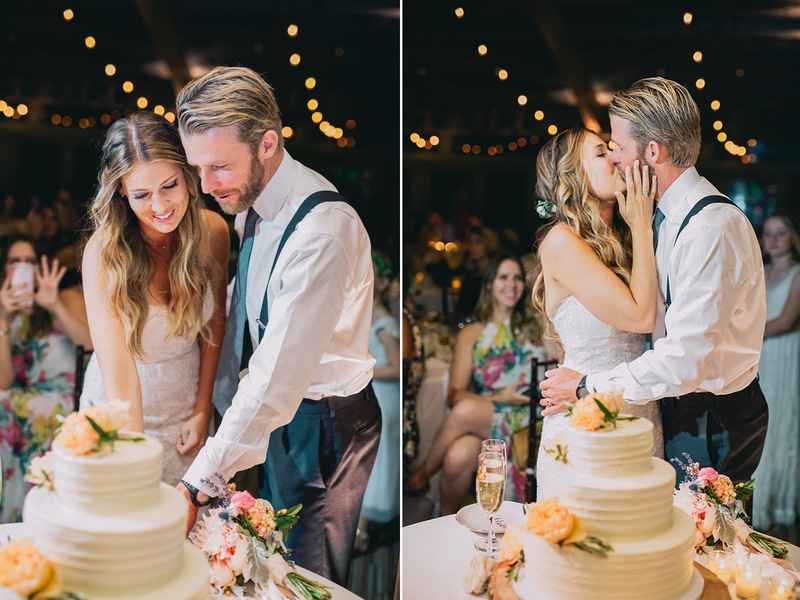 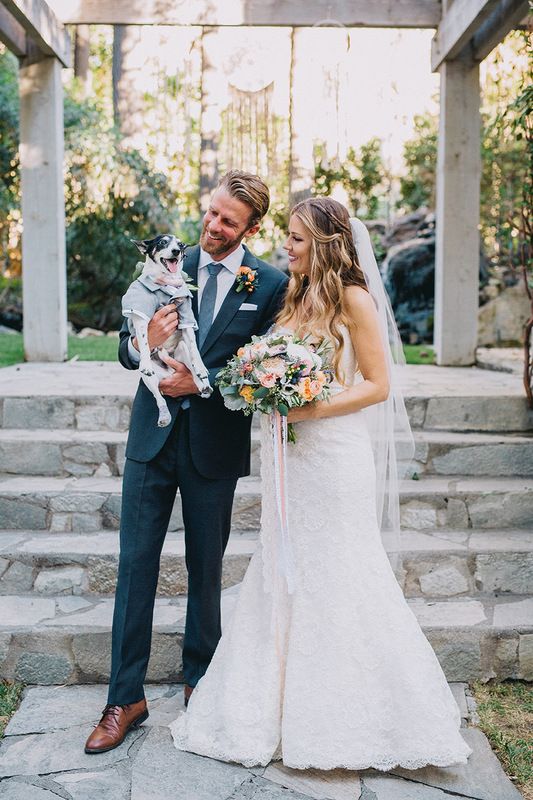 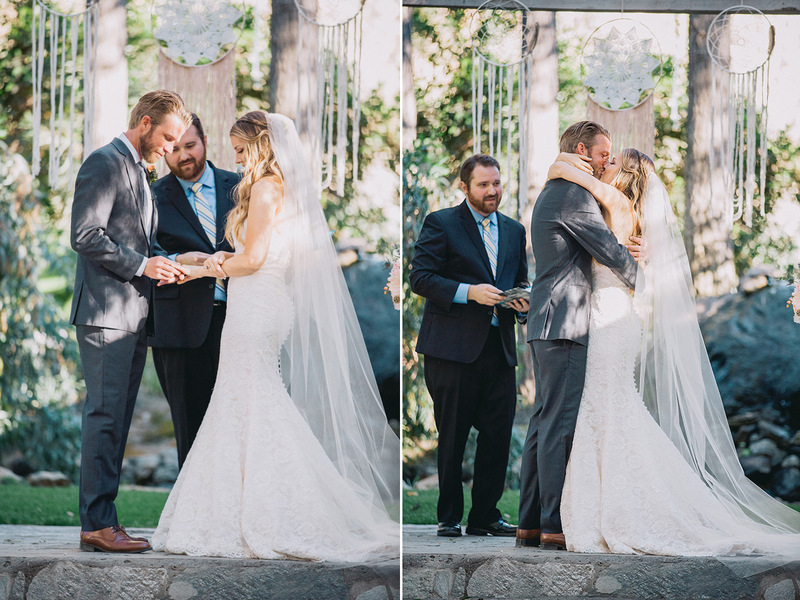 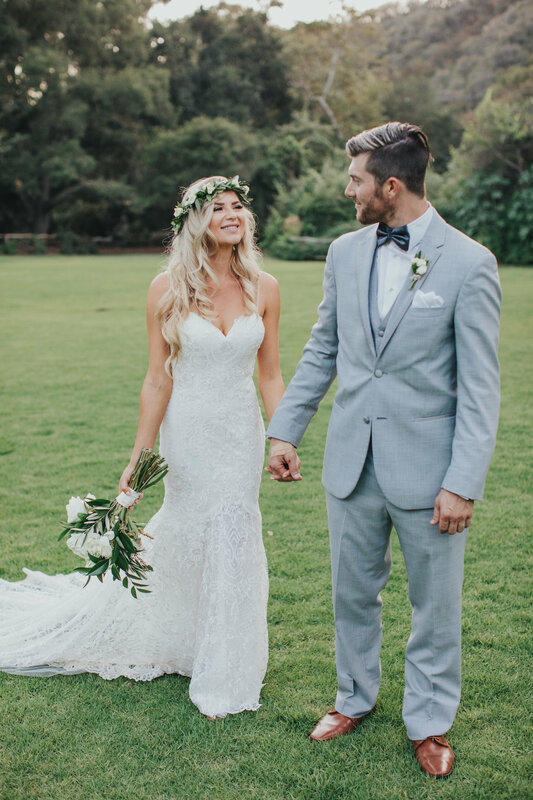 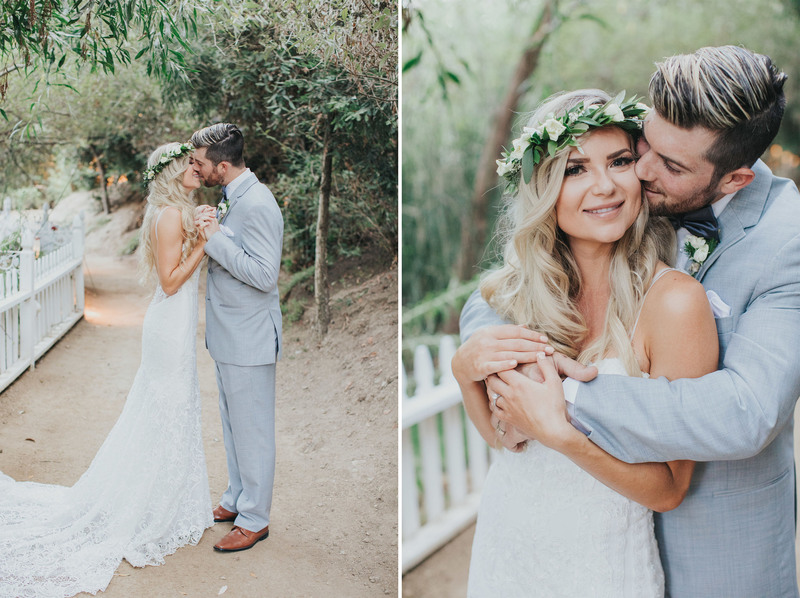 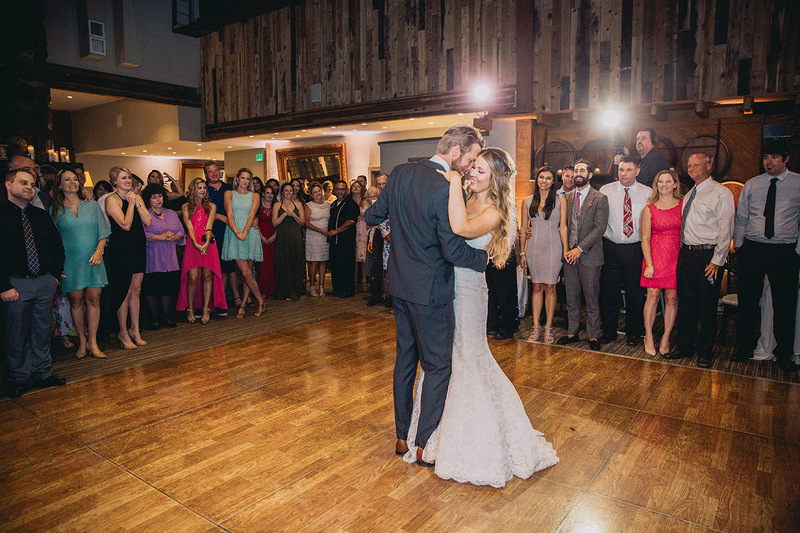 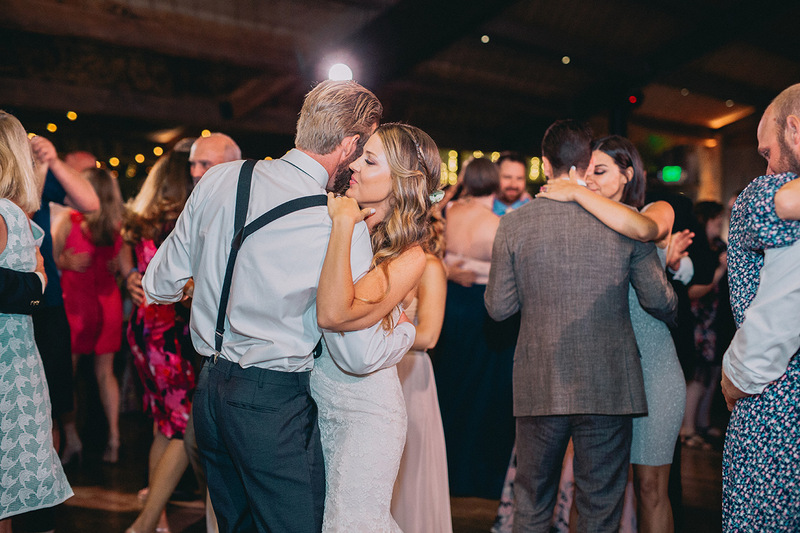 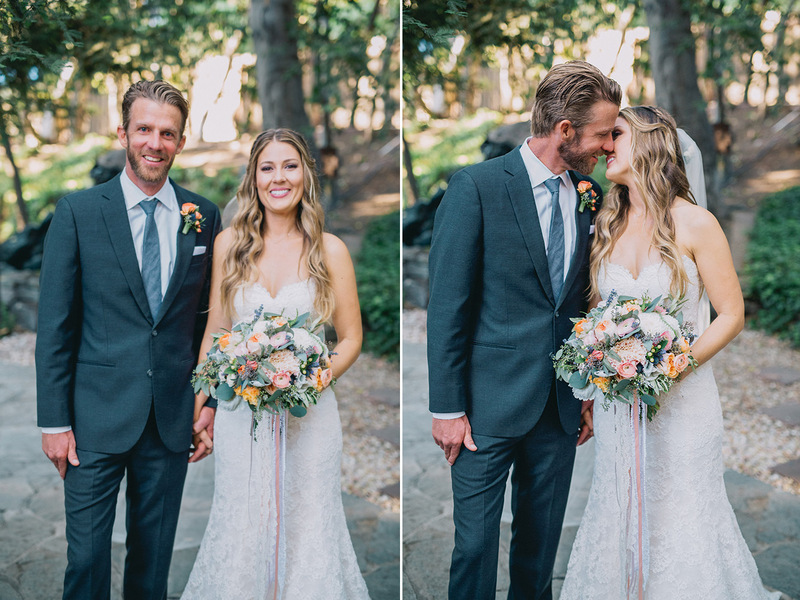 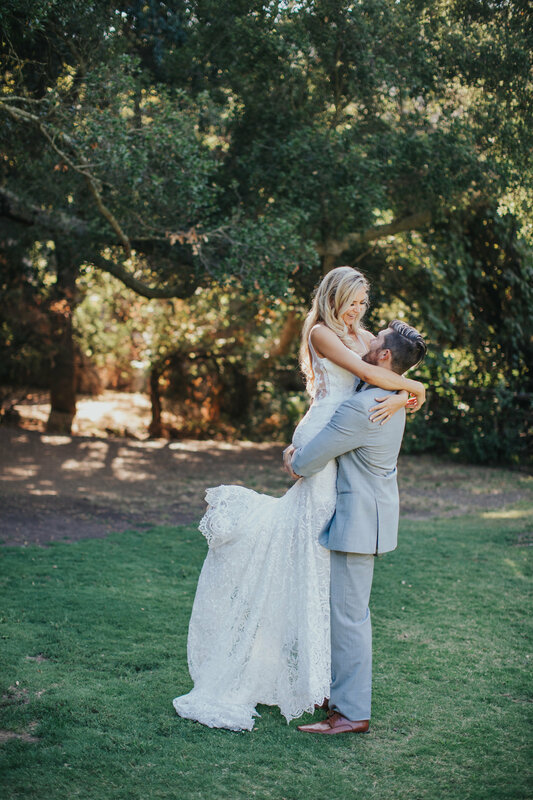 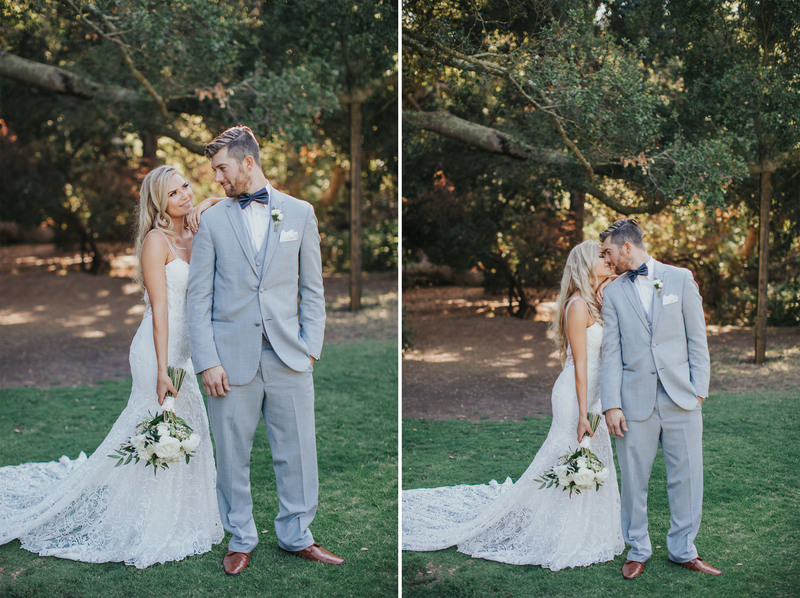 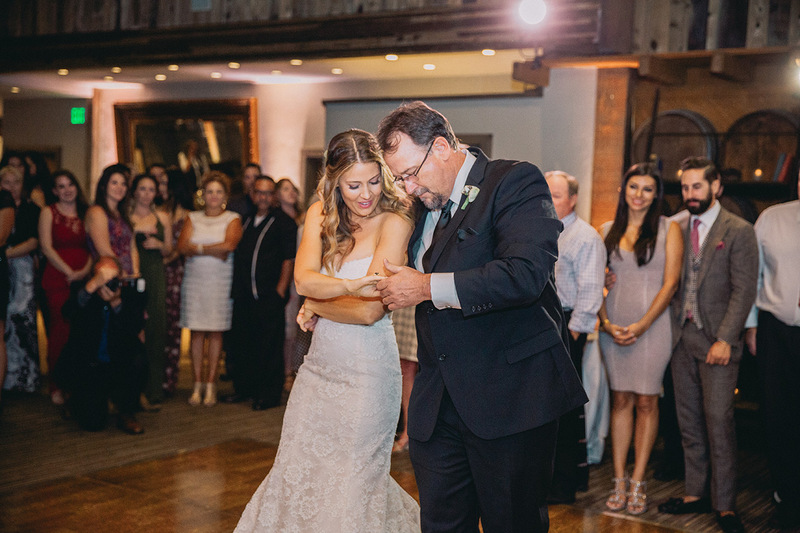 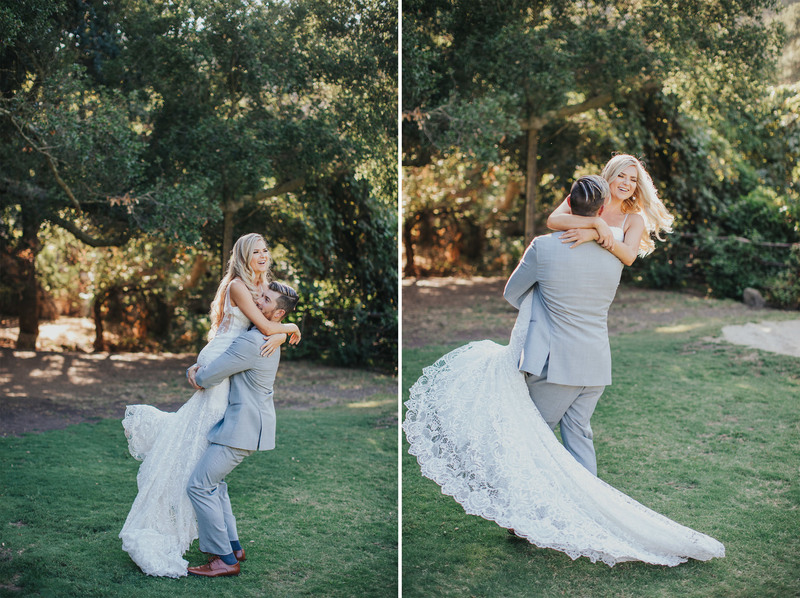 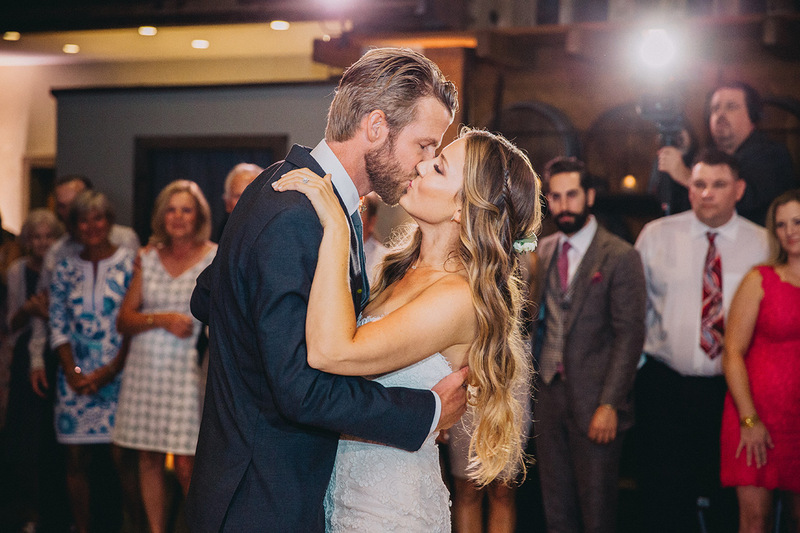 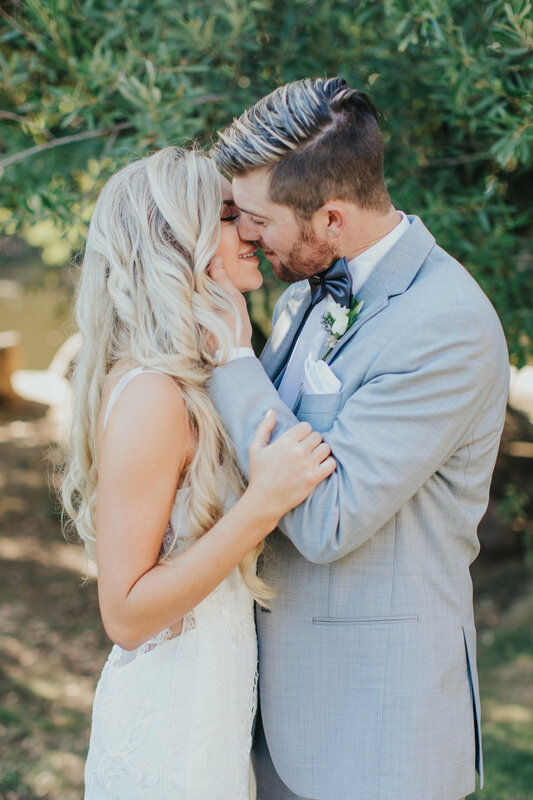 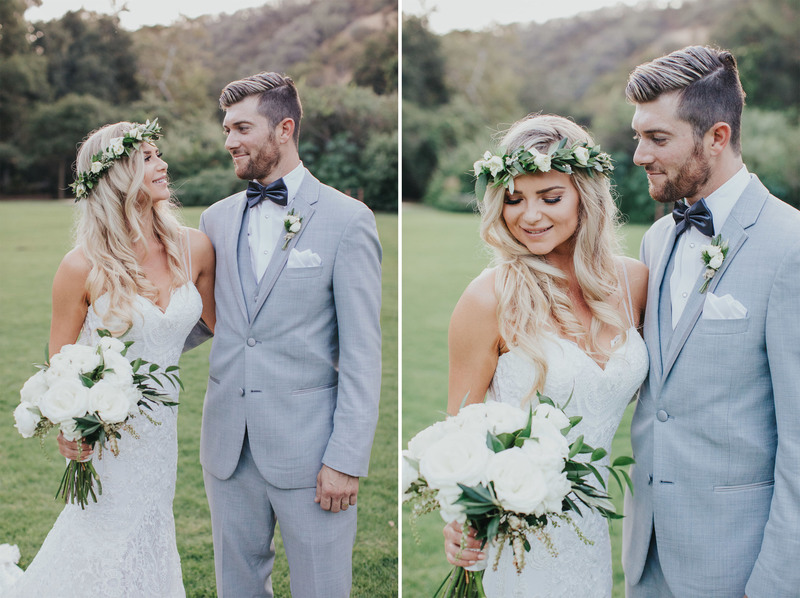 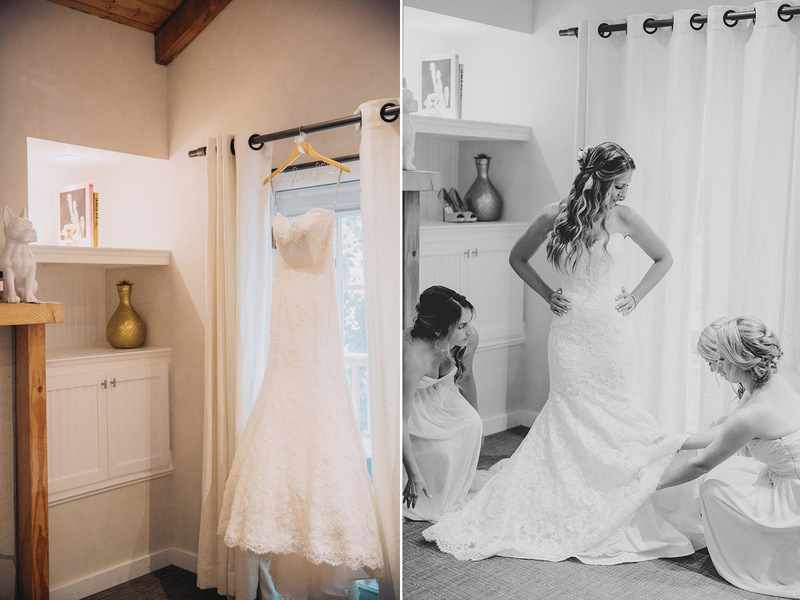 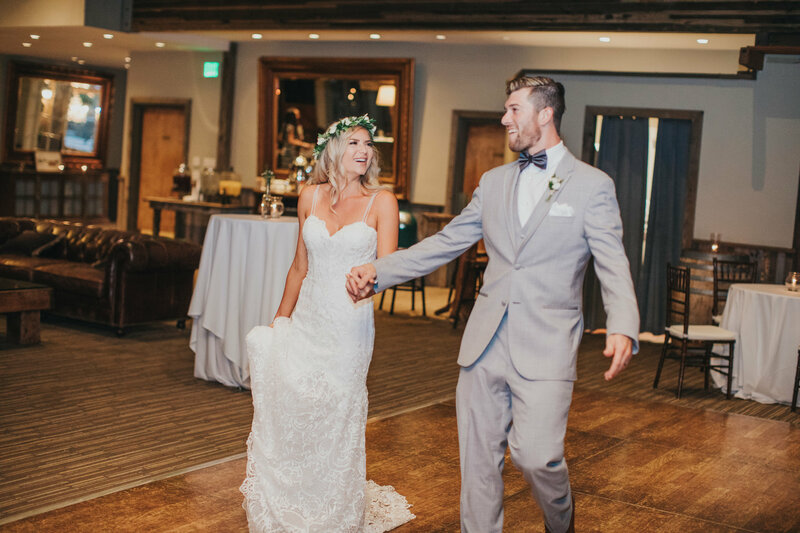 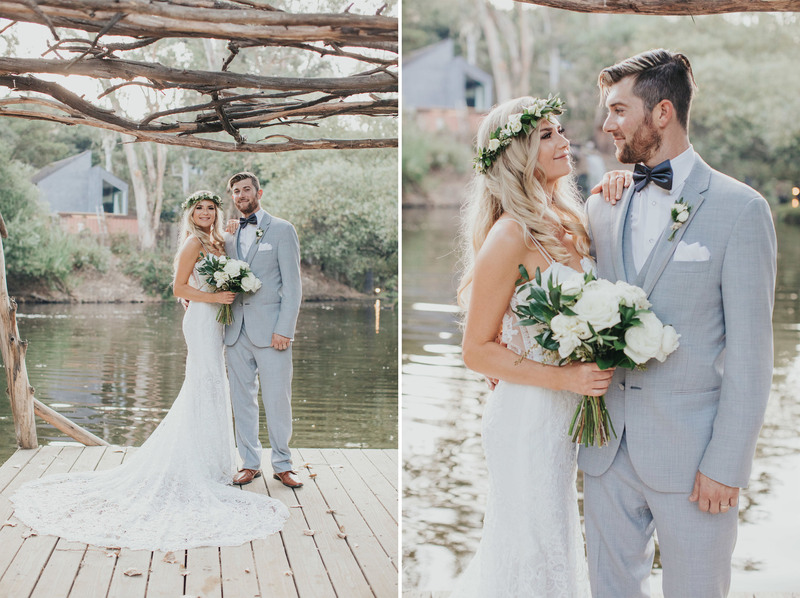 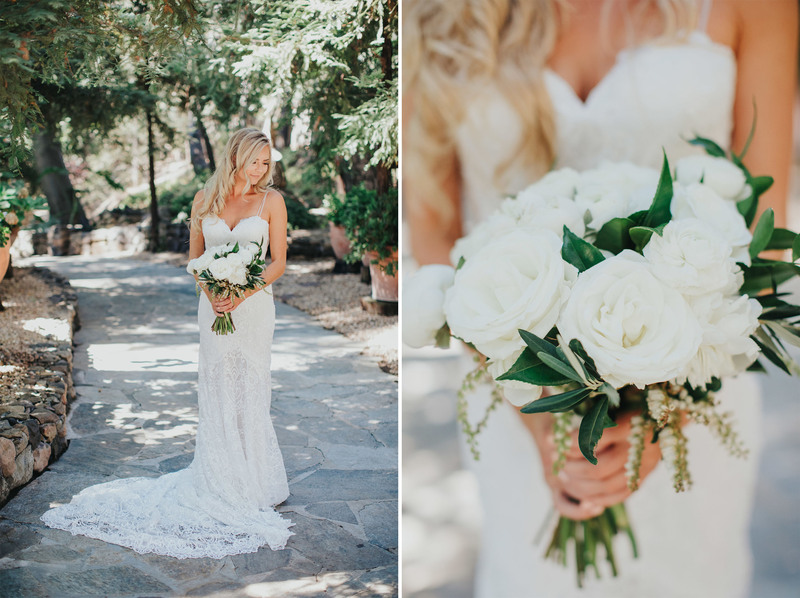 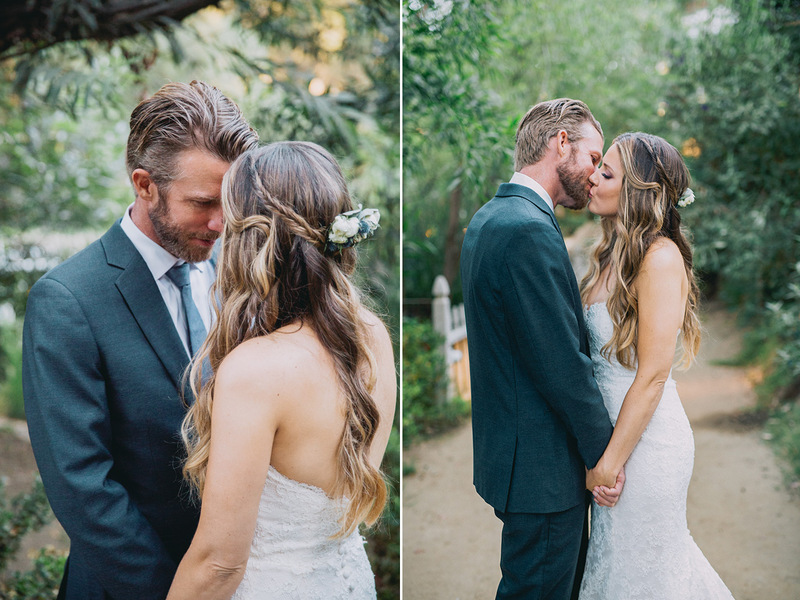 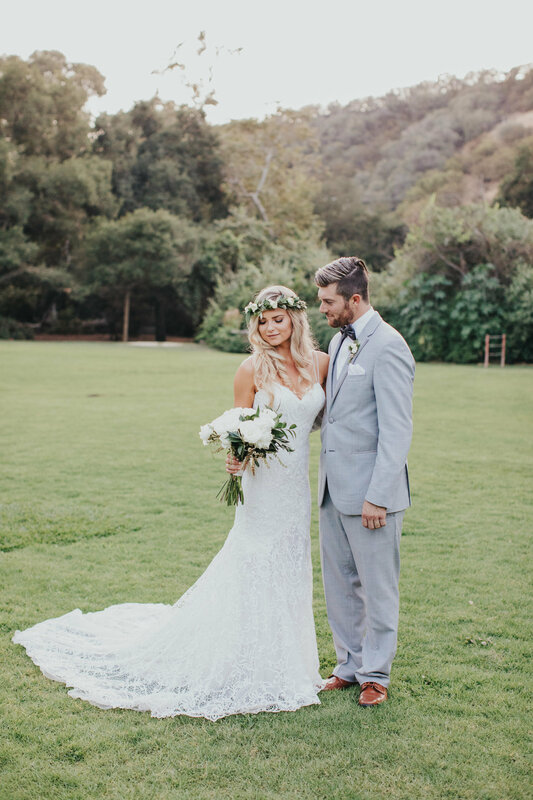 Take a look below to see the magical outcome of this Calamigos Ranch wedding.